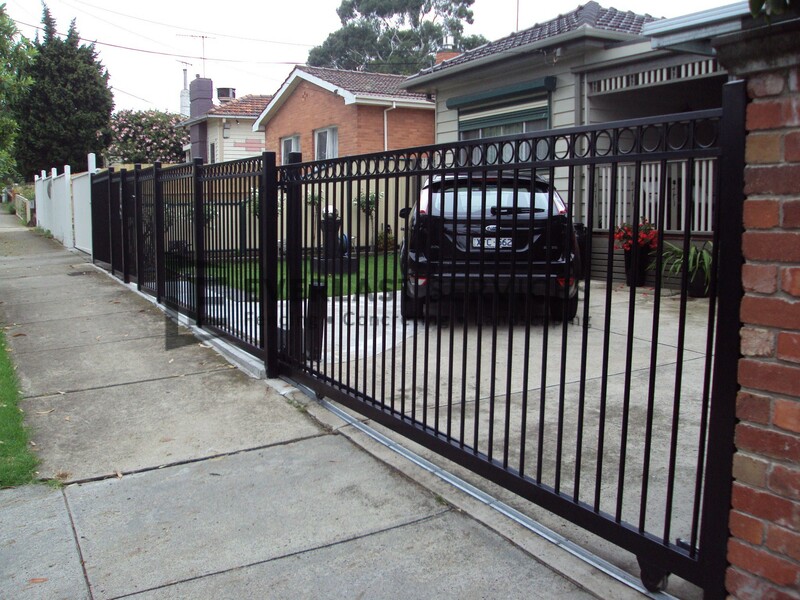 Automatic sliding gates are one of the most popular choices for residential driveways and factories, for good reason. 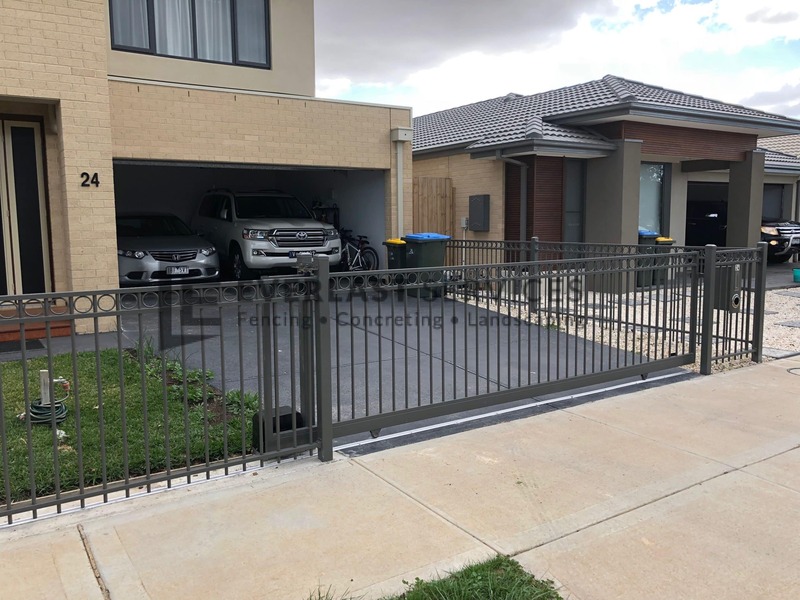 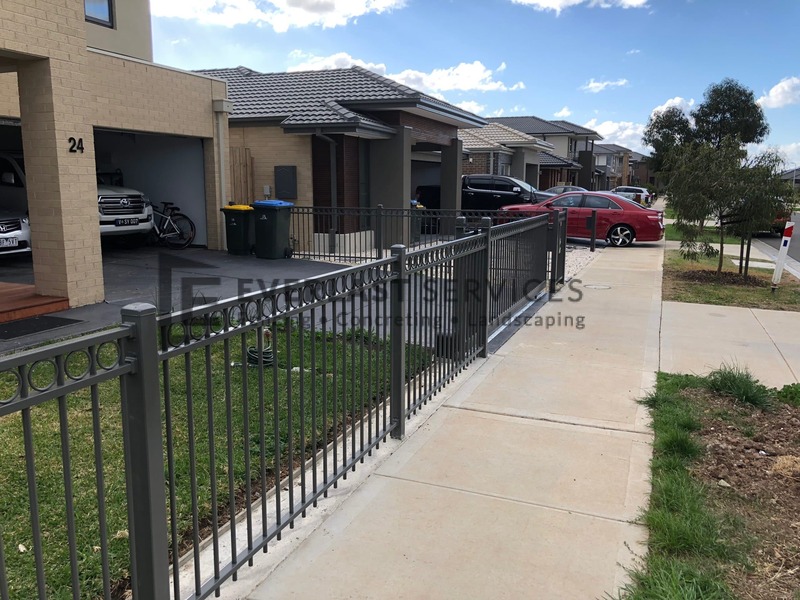 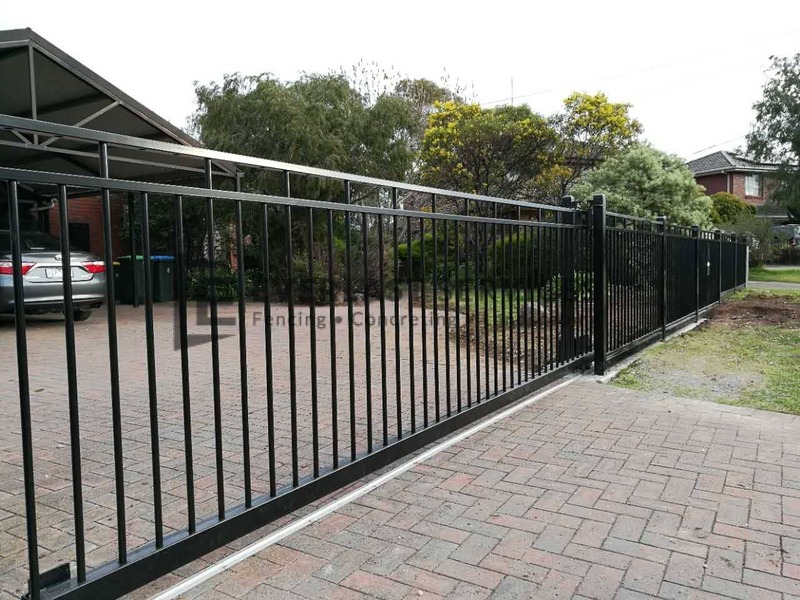 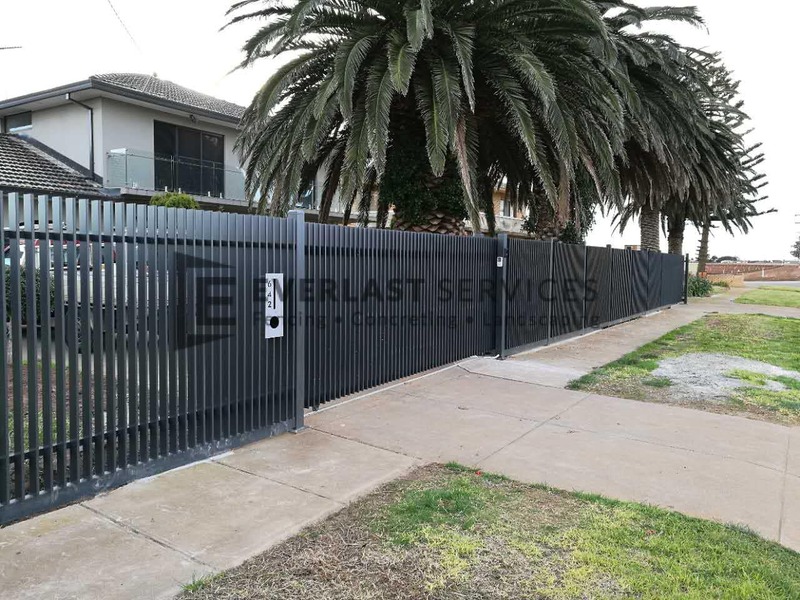 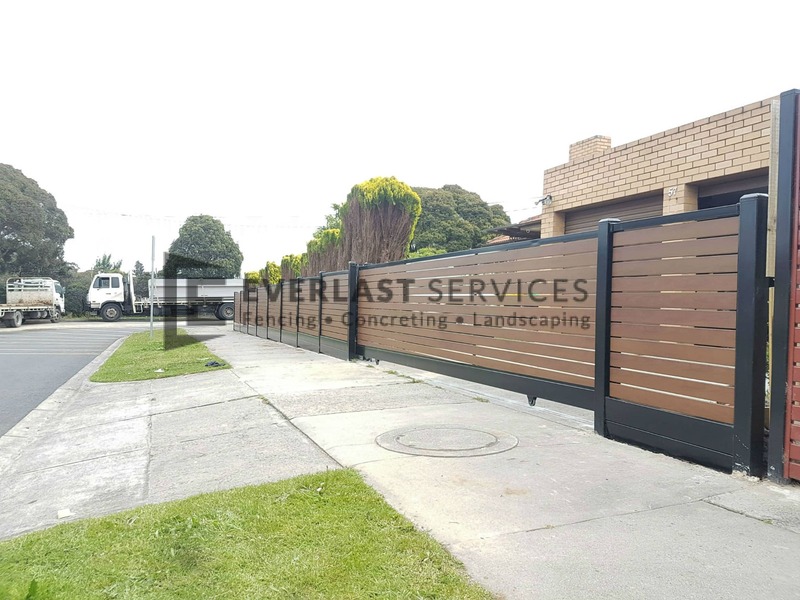 These beauties serve a dual purpose; not only do they look modern, sleek, and stylish, but they satisfy all your high security fencing protection demands. 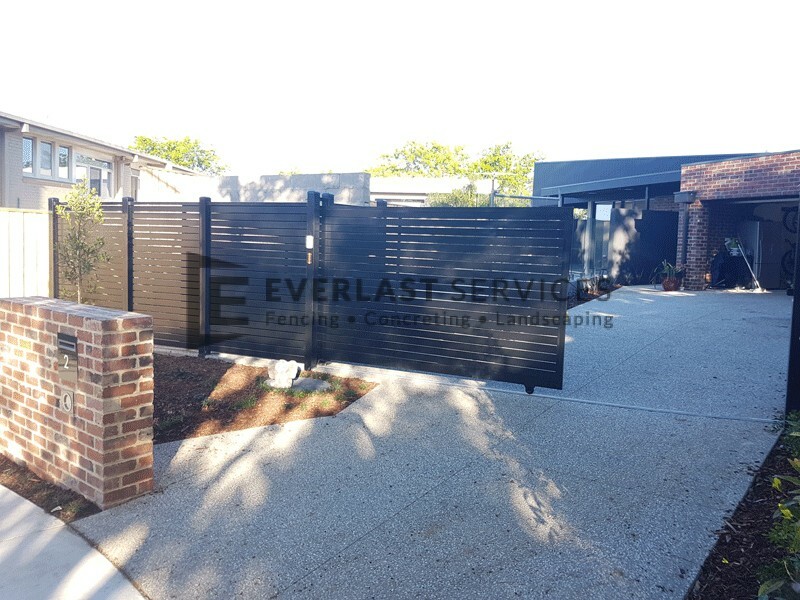 Aluminium: which are proving to be a big hit with people looking to create a modern, contemporary look for the entrance to their property. 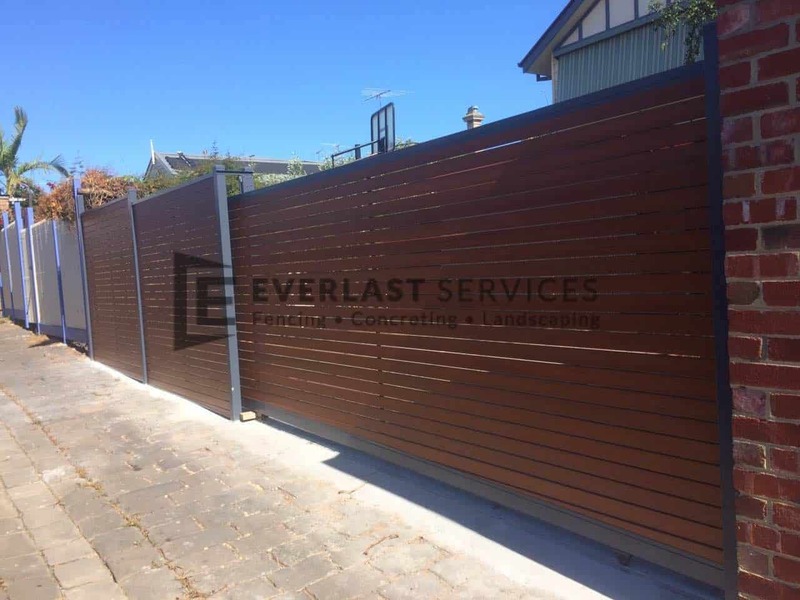 Aluminium is also one of the toughest, most long lasting, low maintenance fencing materials available. 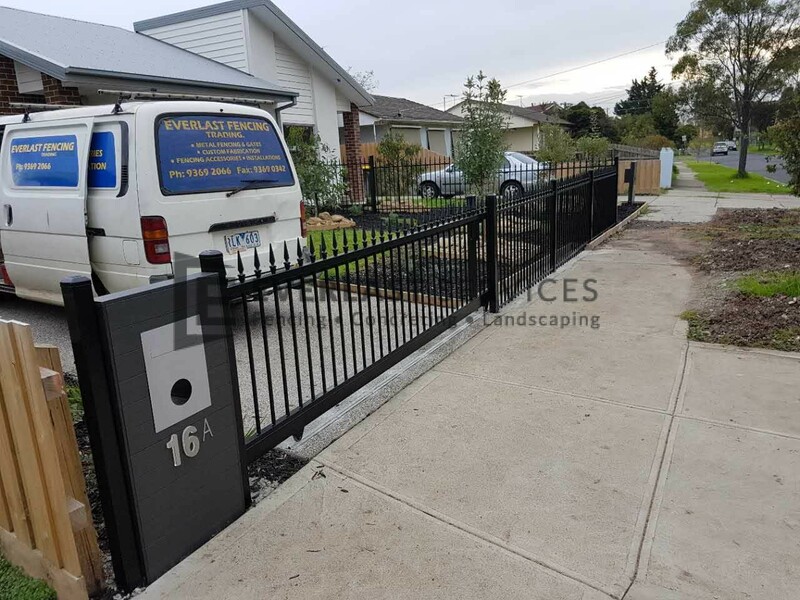 Steel: these are the perfect option for restricted parking areas, or where a steep driveway makes installation of swinging gates impossible. 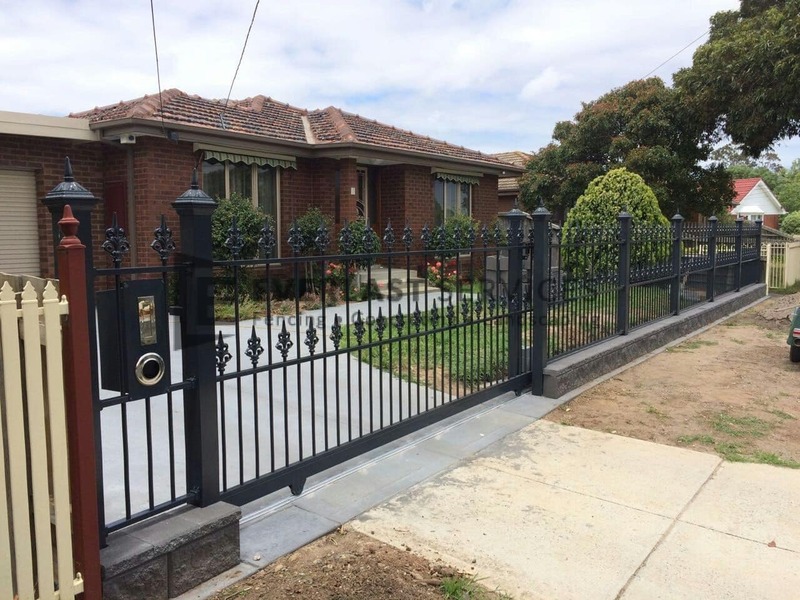 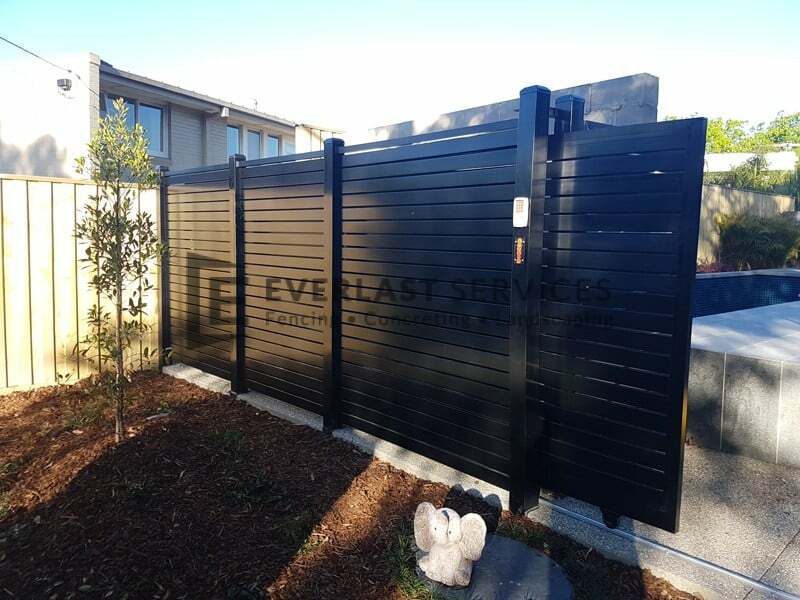 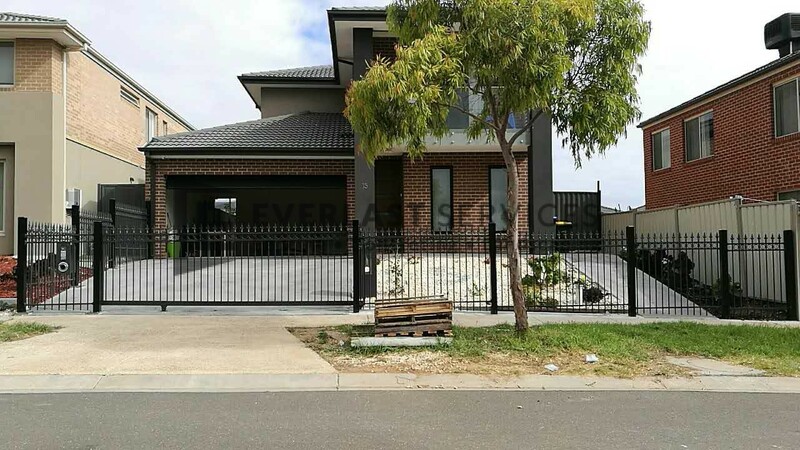 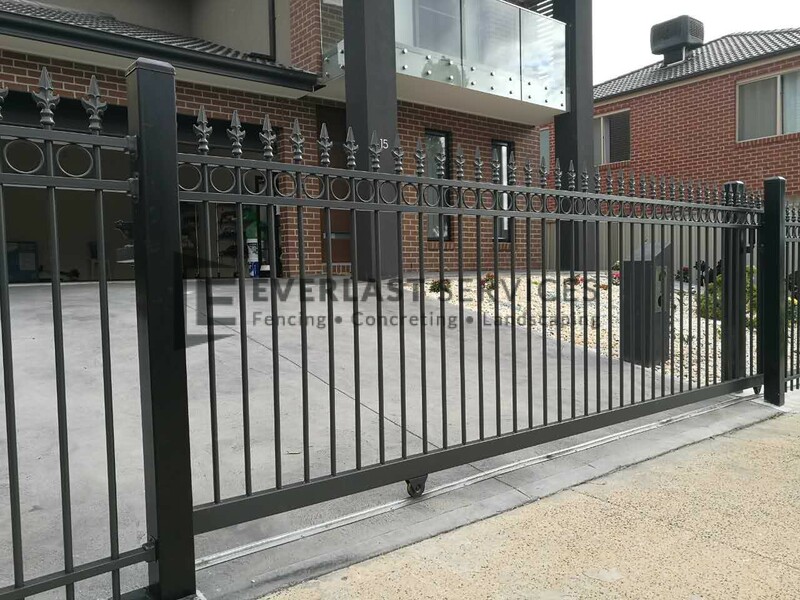 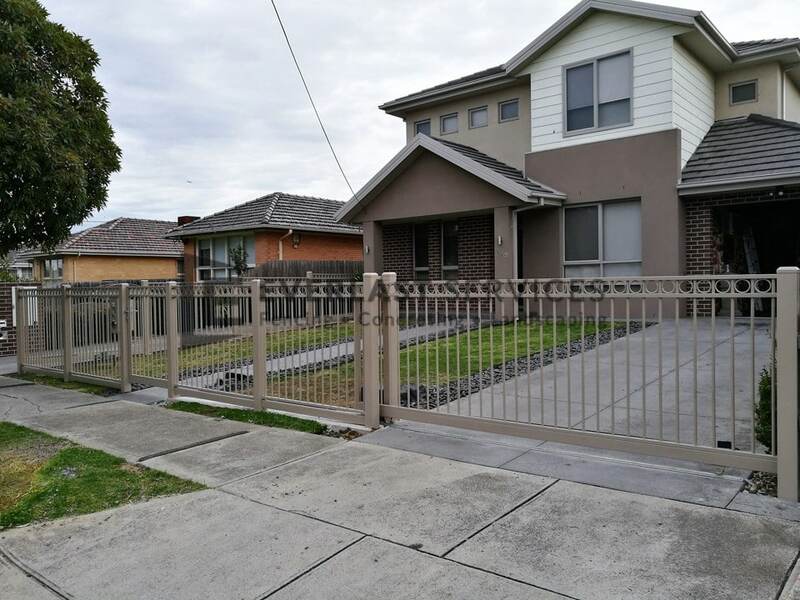 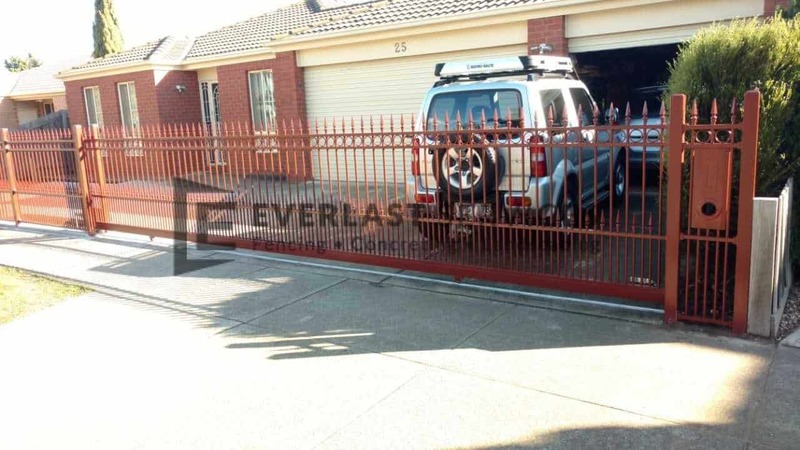 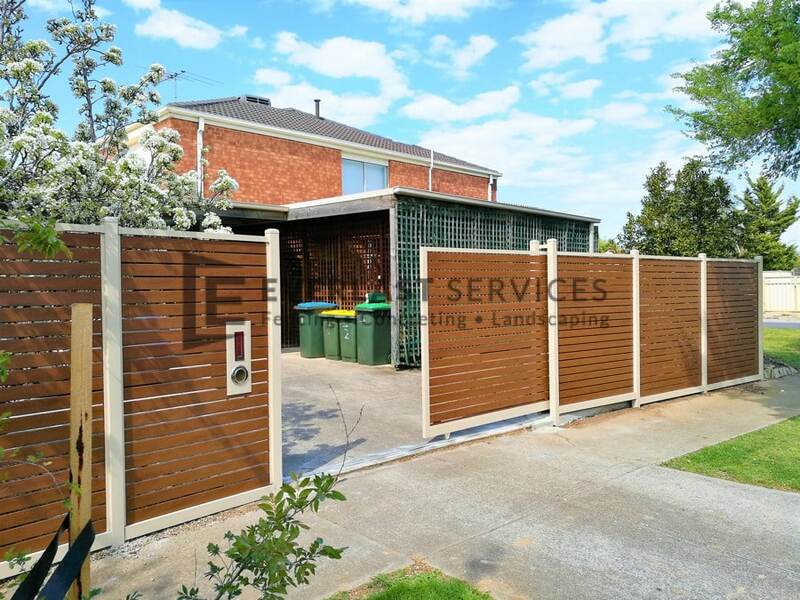 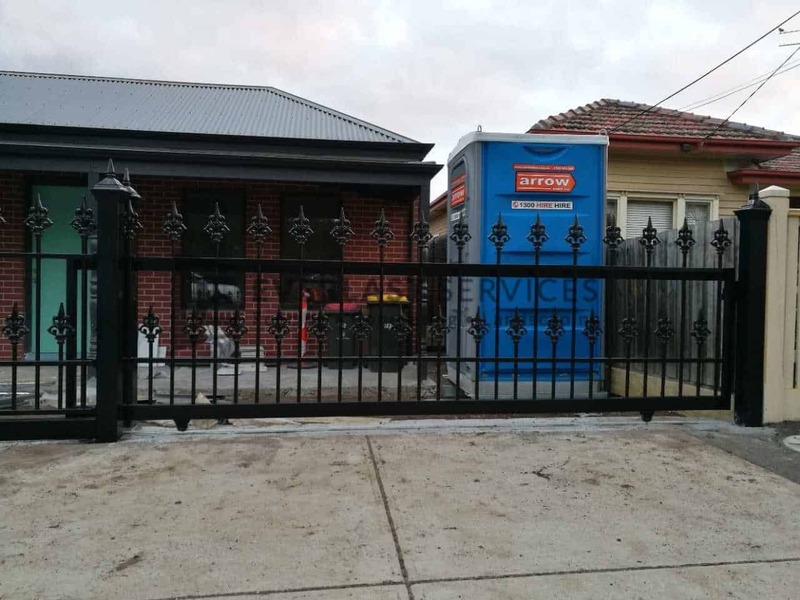 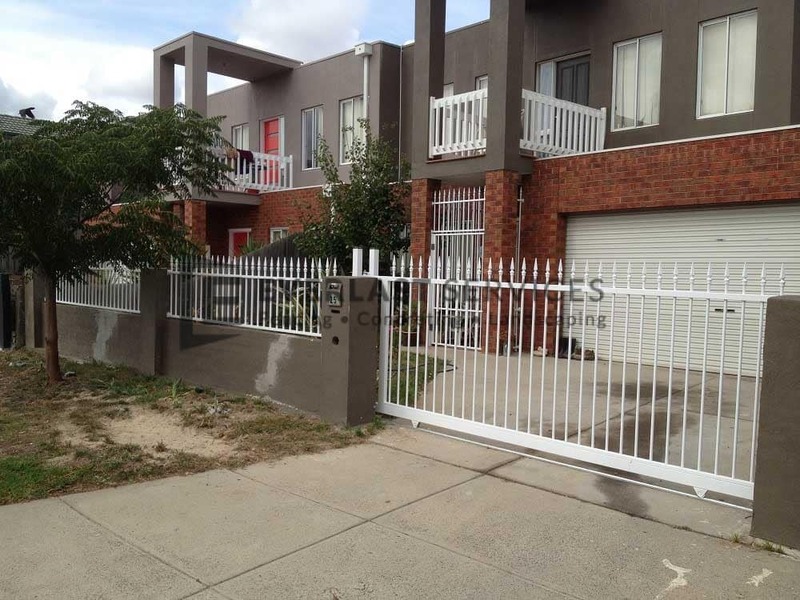 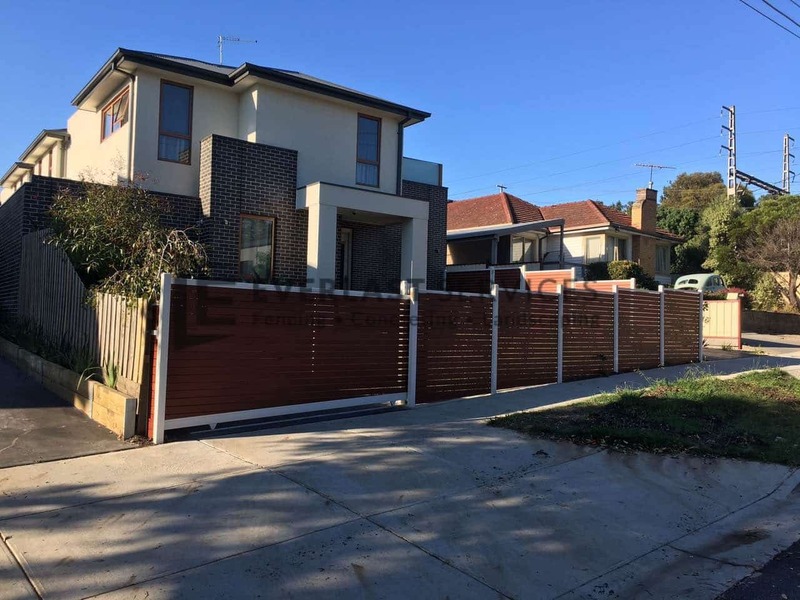 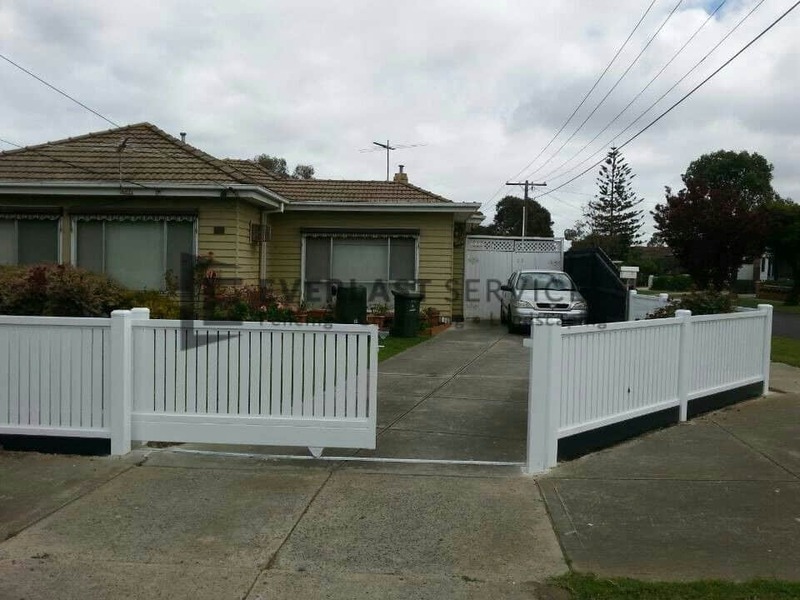 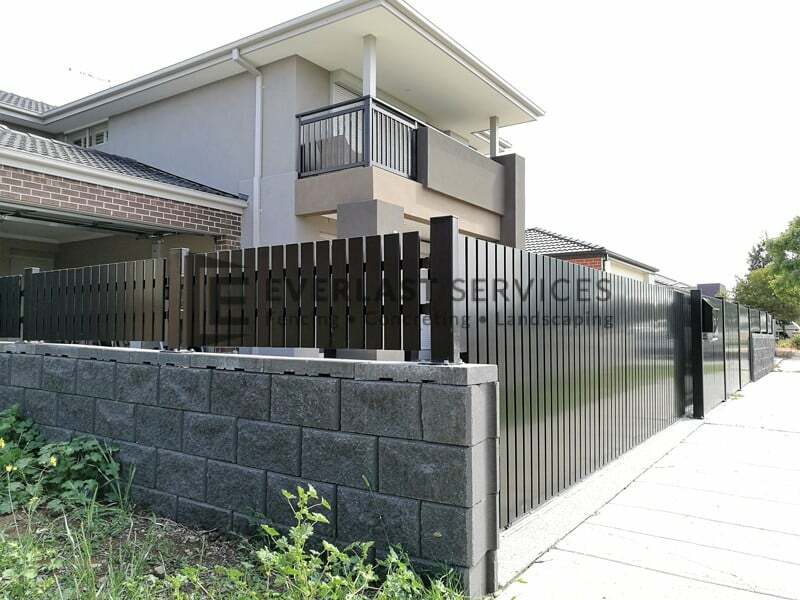 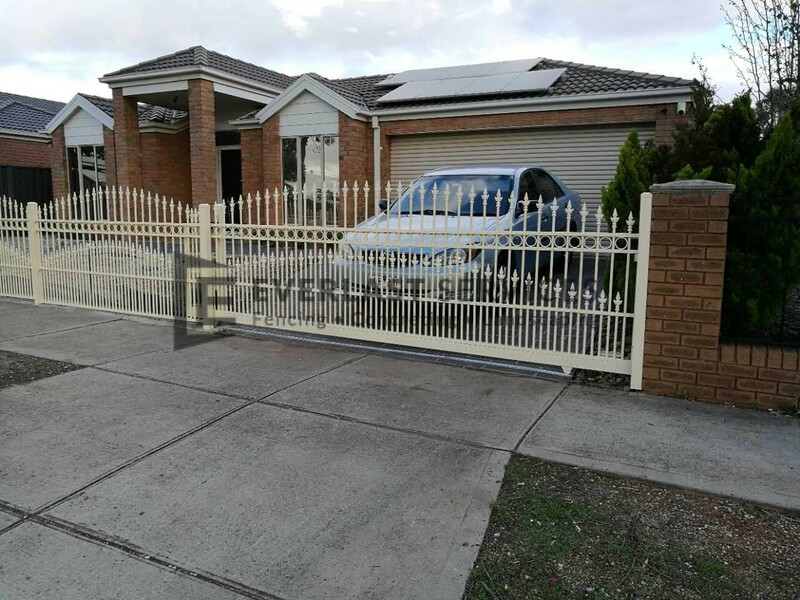 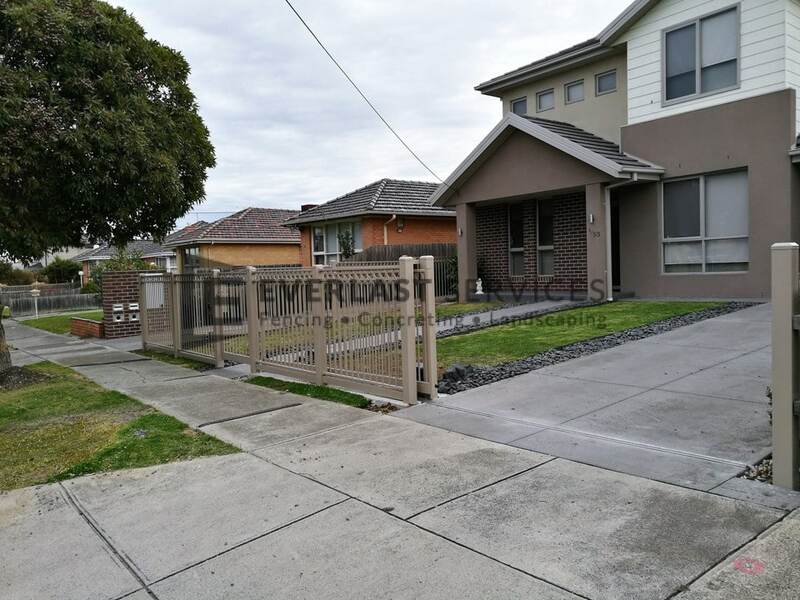 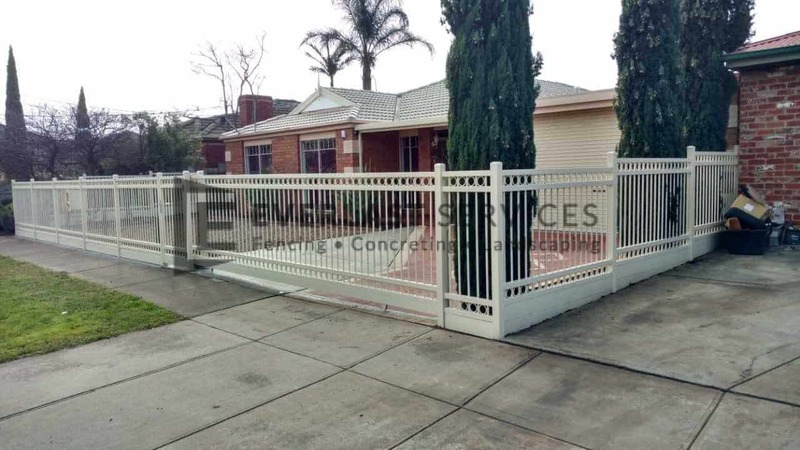 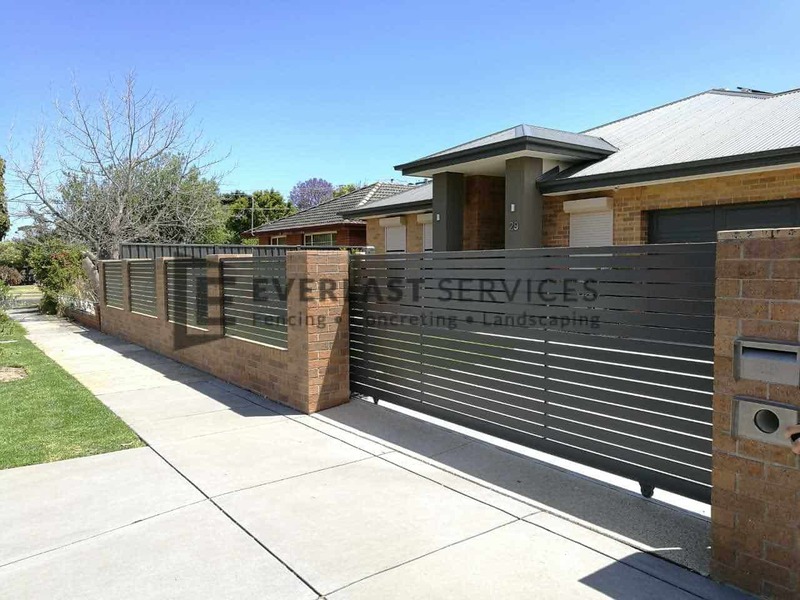 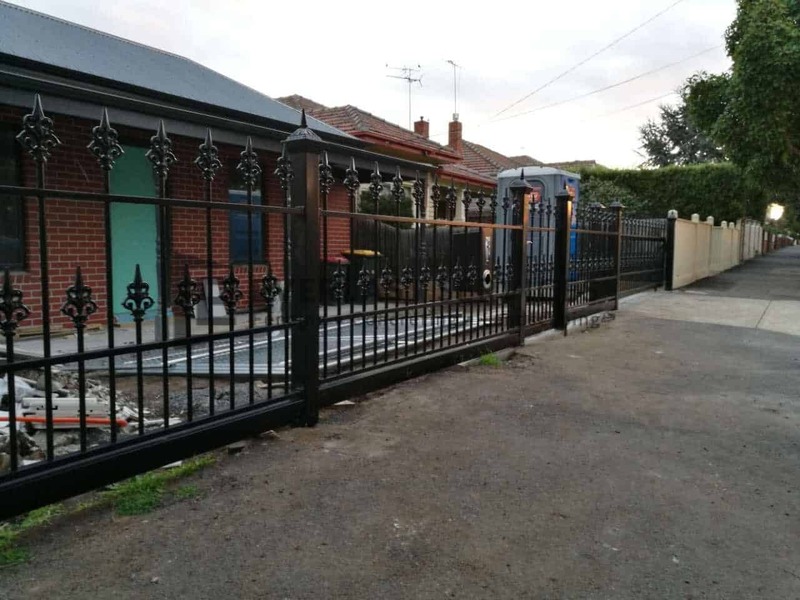 Colorbond: much like aluminium sliding gates, Colorbond gates are tough, long lasting and low maintenance. 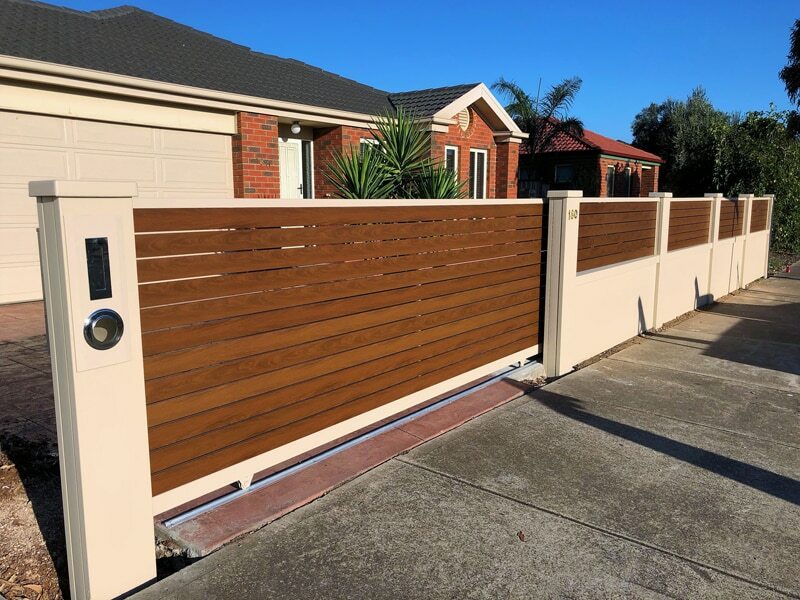 Plus, Colorbond comes in a wide range of colours and profiles and, if your property has a Colorbond roof, you can even match your gate with your roof. 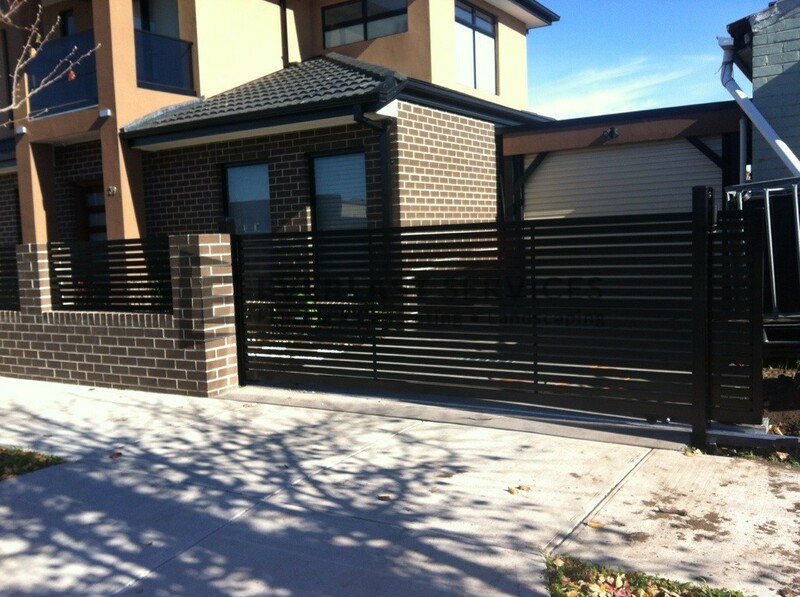 Why Install Automatic Sliding Gates? 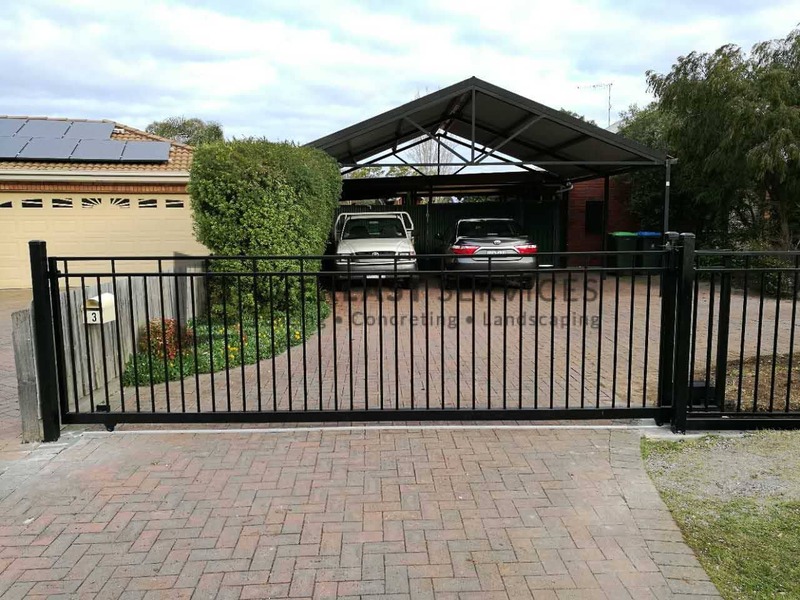 Installed correctly, automatic sliding gates provide very high levels of security and protection for your property, particularly against attempted forced entry. 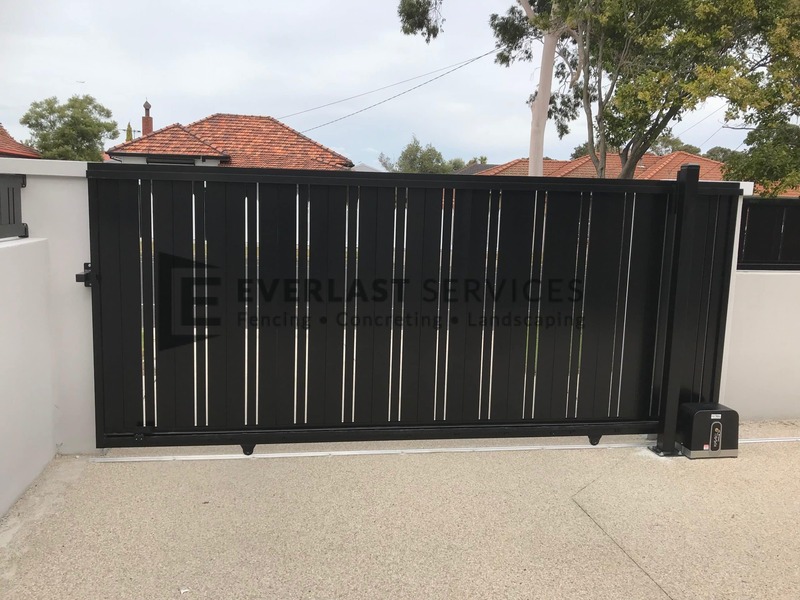 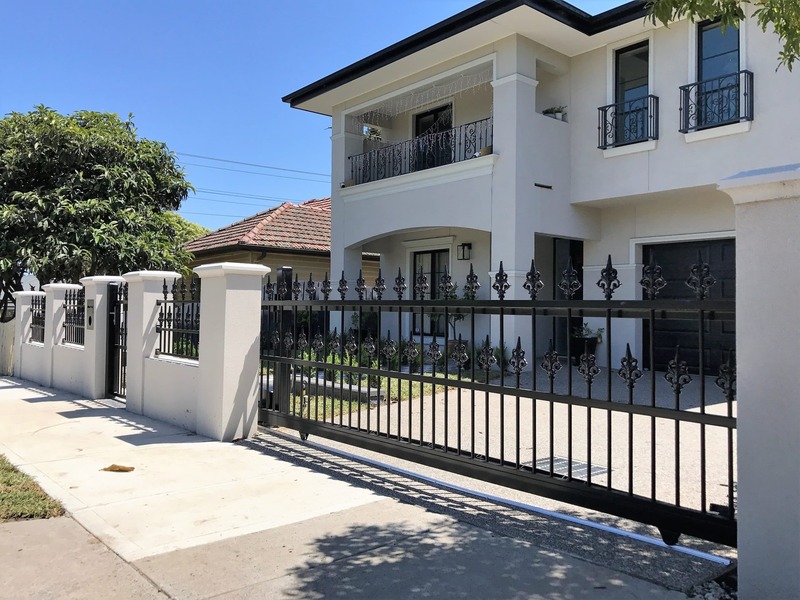 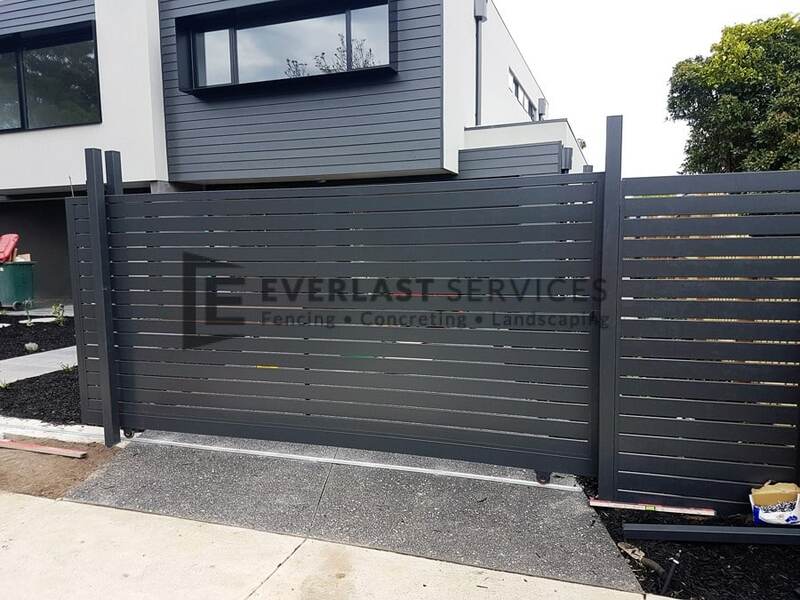 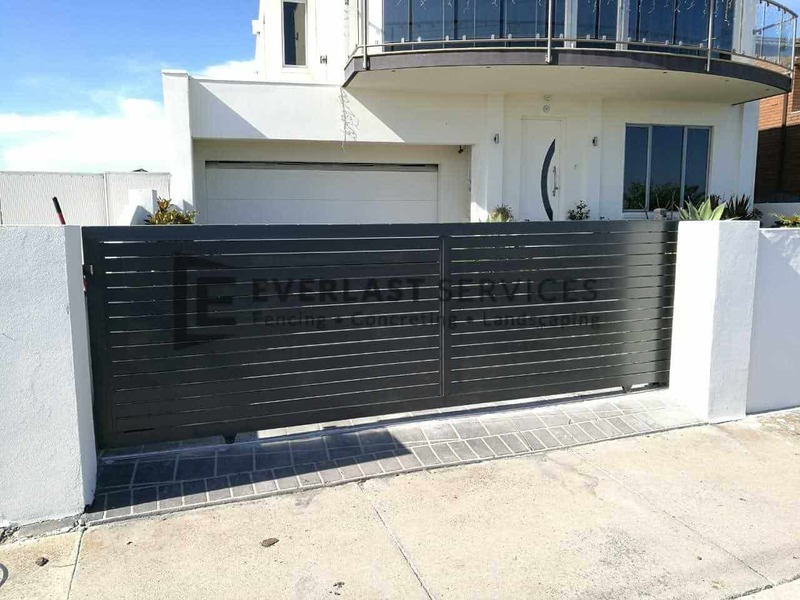 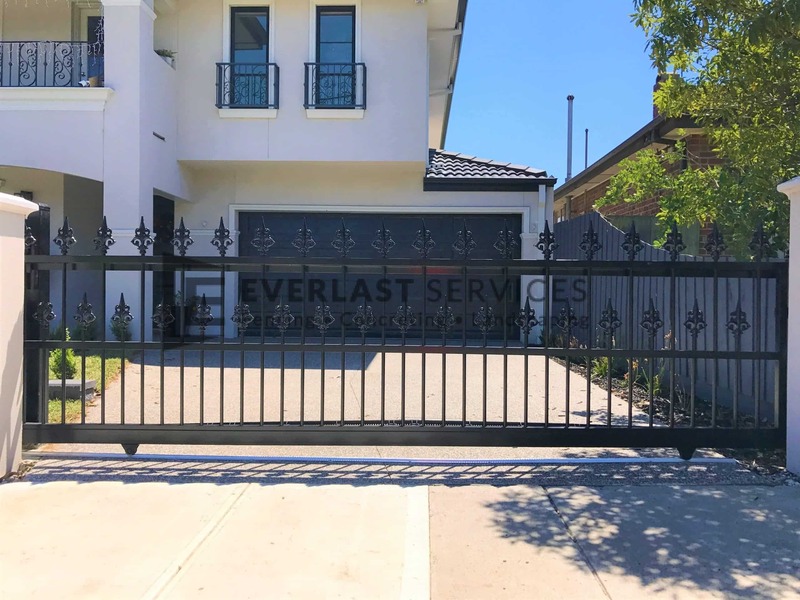 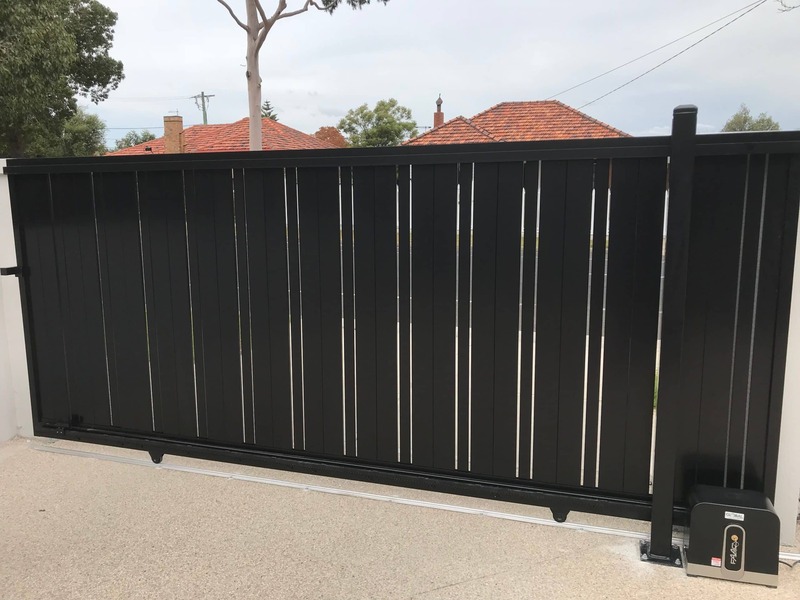 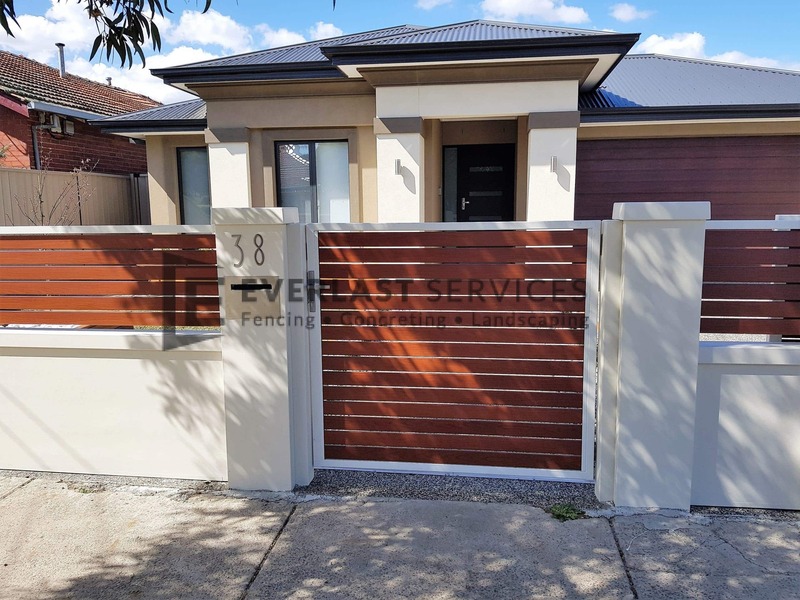 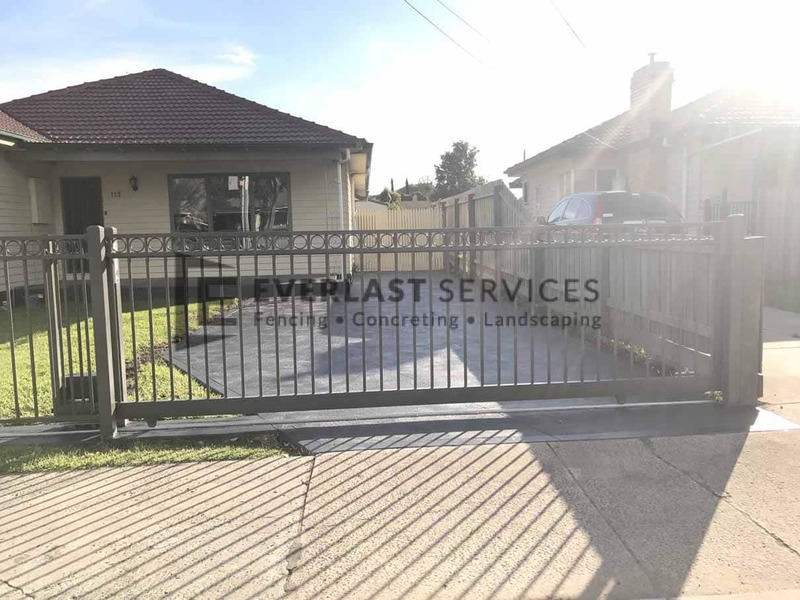 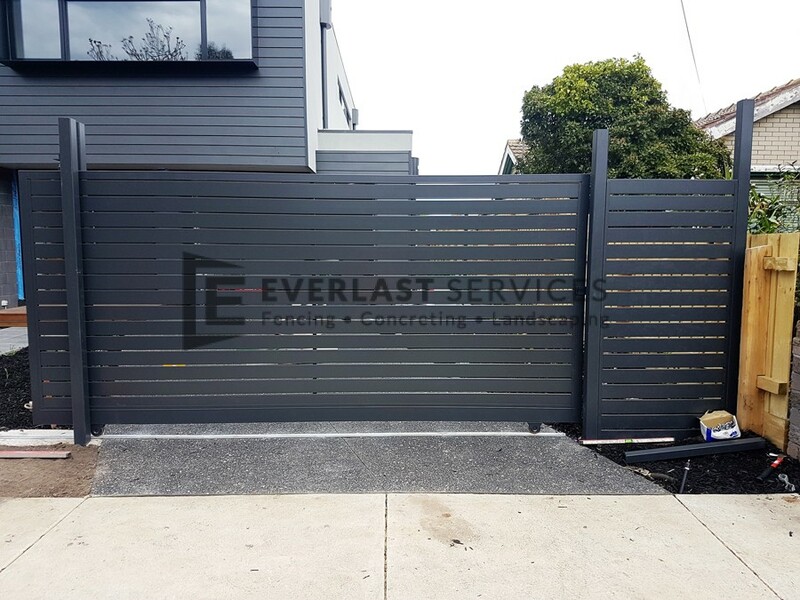 We can manufacture your gates in a whole of array of materials, colours, shapes, and sizes to customise a look and feel that you’re bound to love. 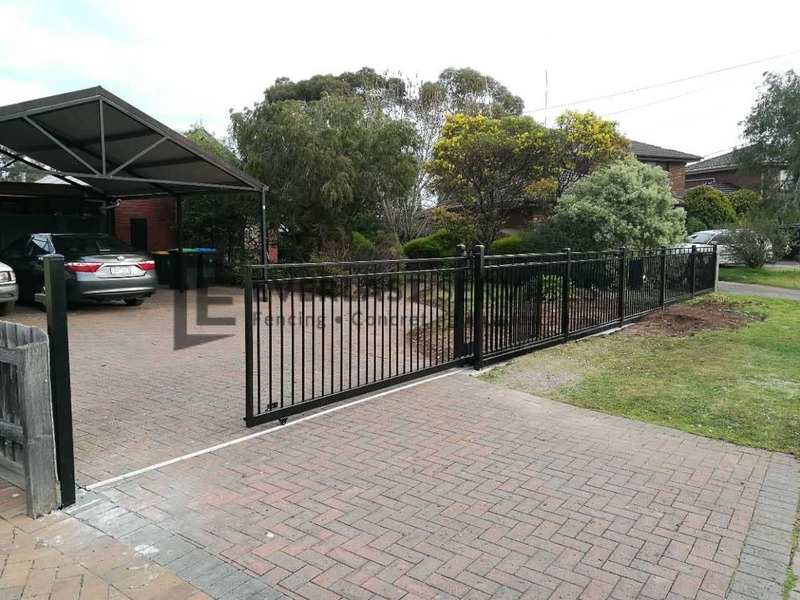 As this type of gate slides sideways, there is still plenty of empty space behind the gate (which a normal swinging gate would occupy). 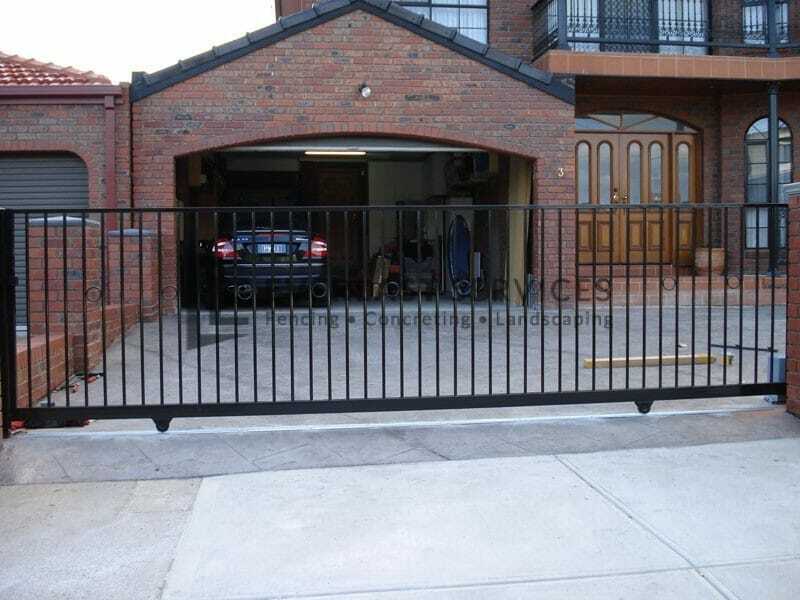 This makes parking your car much easier. 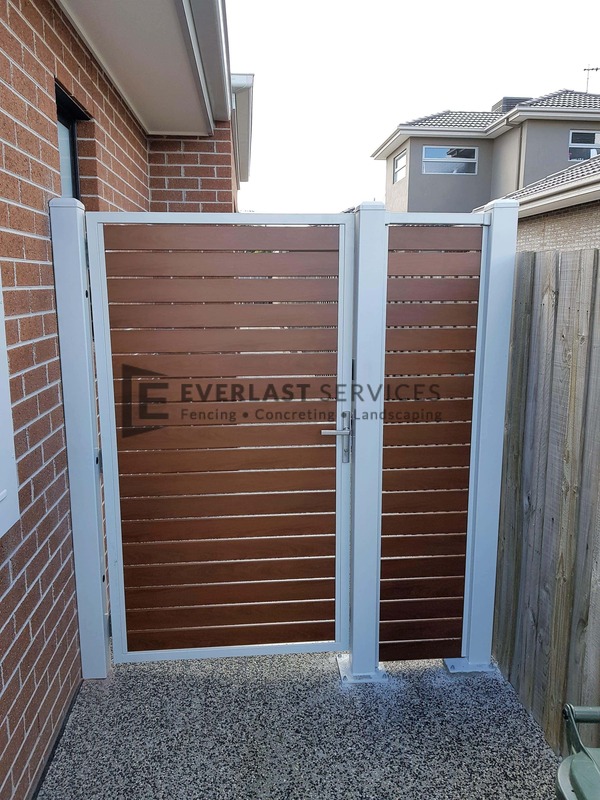 Electric sliding gates usually only require one motor to operate, as compared to the two motors required for a pair of swinging gates. 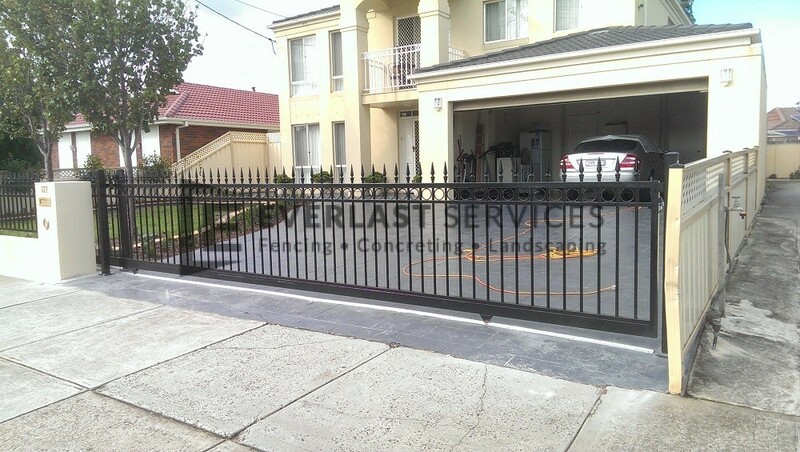 This represents substantial cost savings for you. 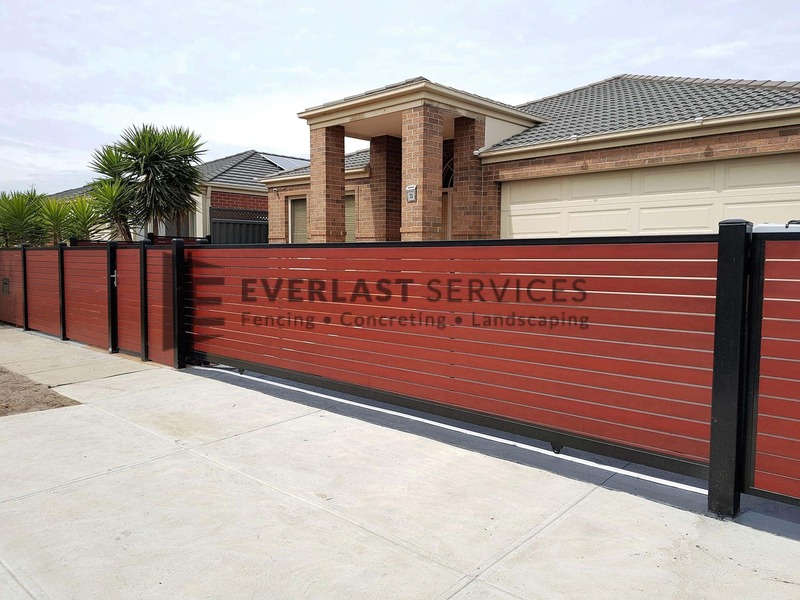 Here at Everlast, we manufacture all our own materials at our factory and showroom, which is located in Hoppers Crossing, Melbourne. 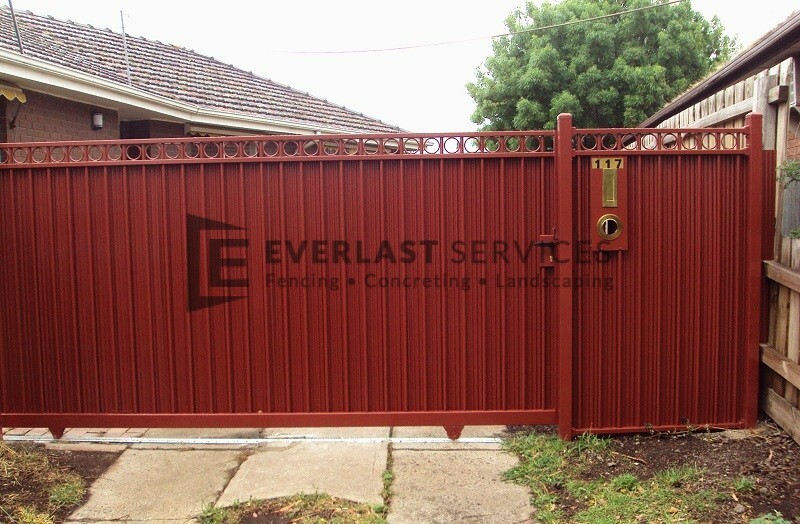 So, we guarantee the quality of our gates 100%. 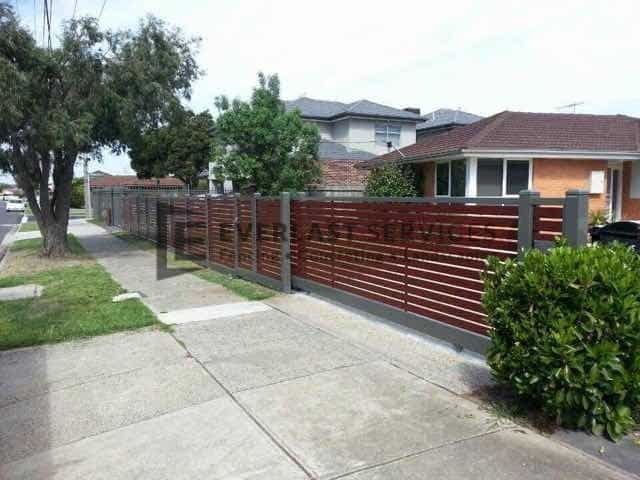 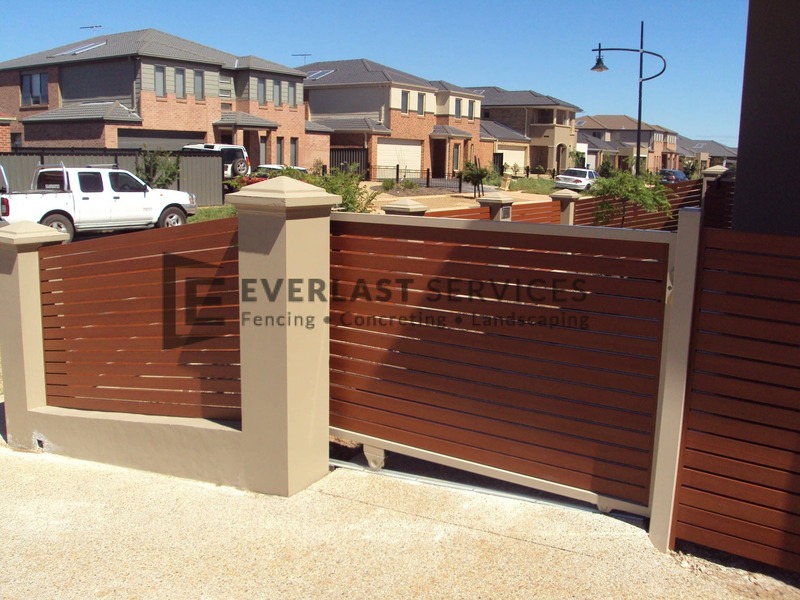 Plus, it all our fencing materials are completely Australian owned and manufactured. 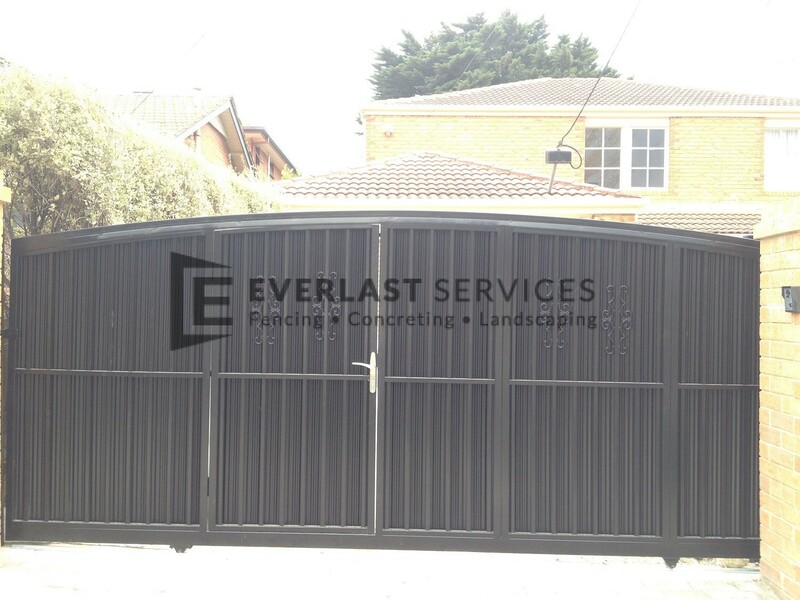 We take pride in producing quality gates at an affordable price. 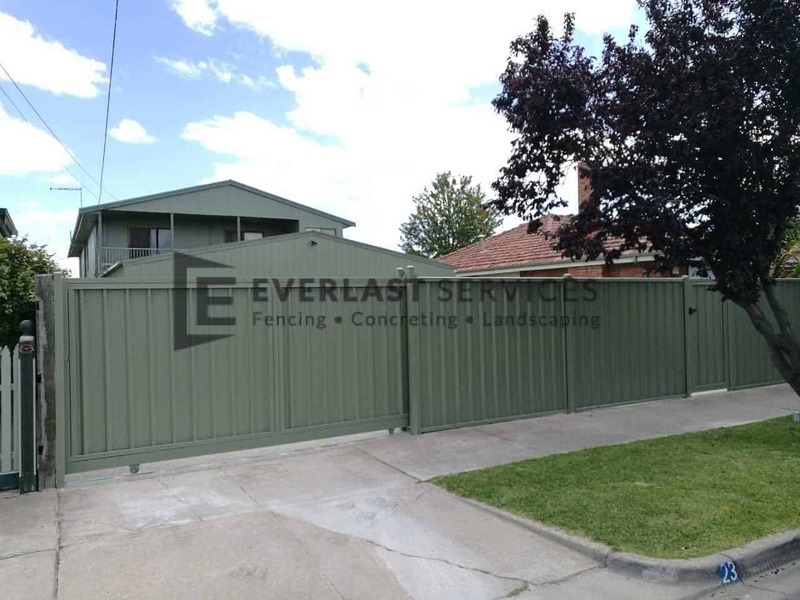 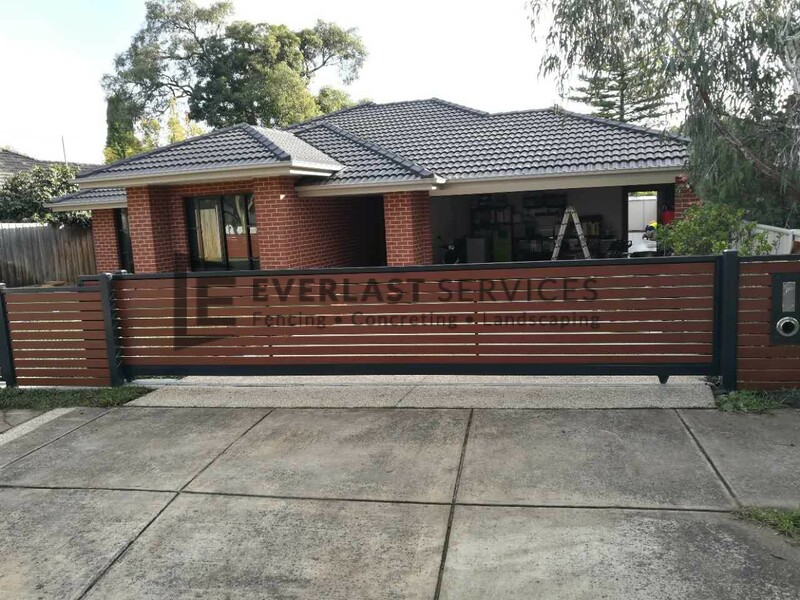 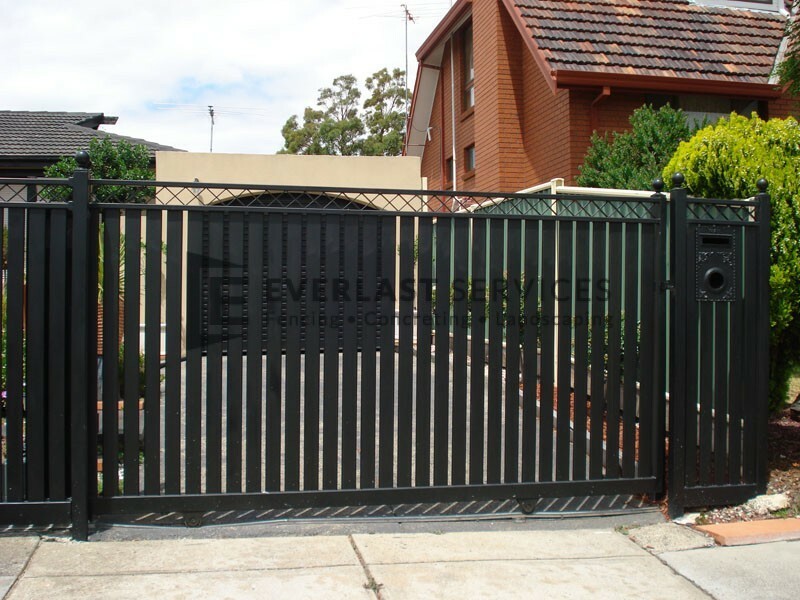 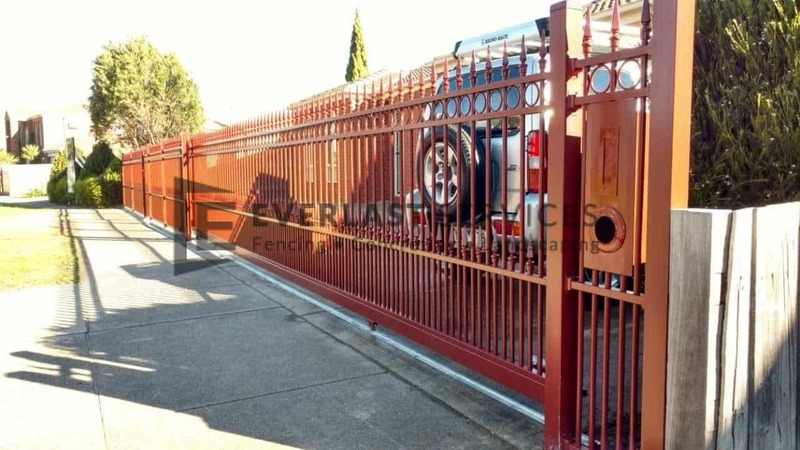 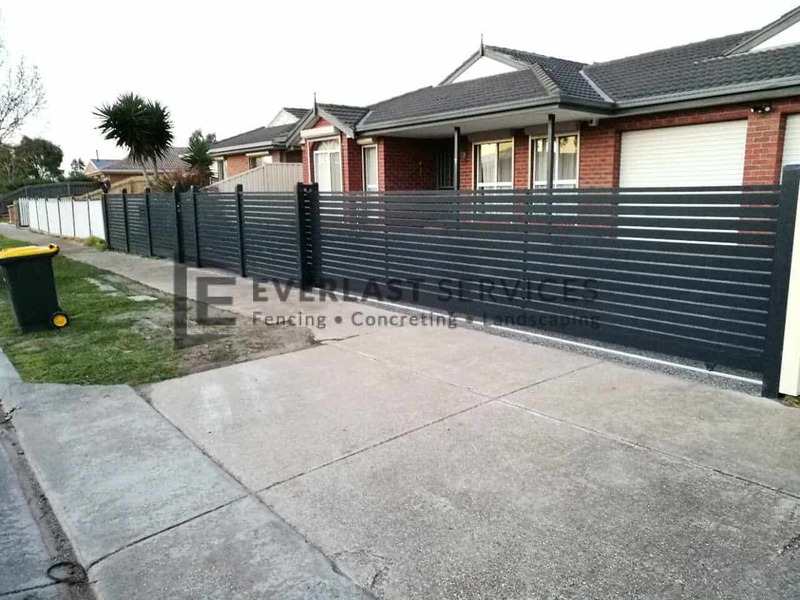 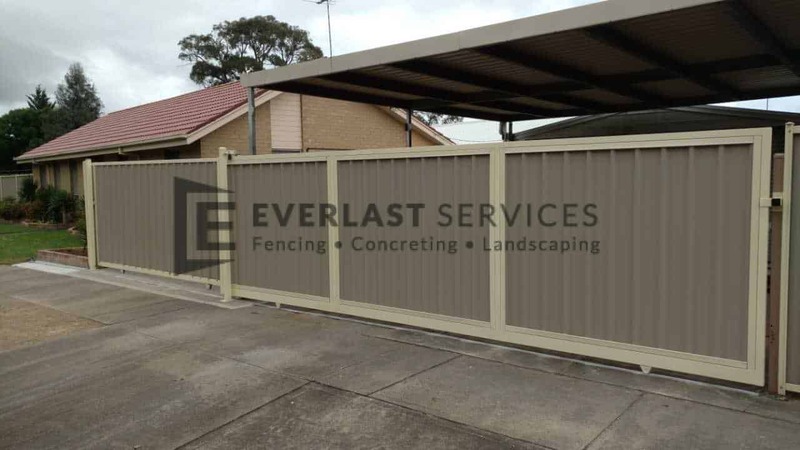 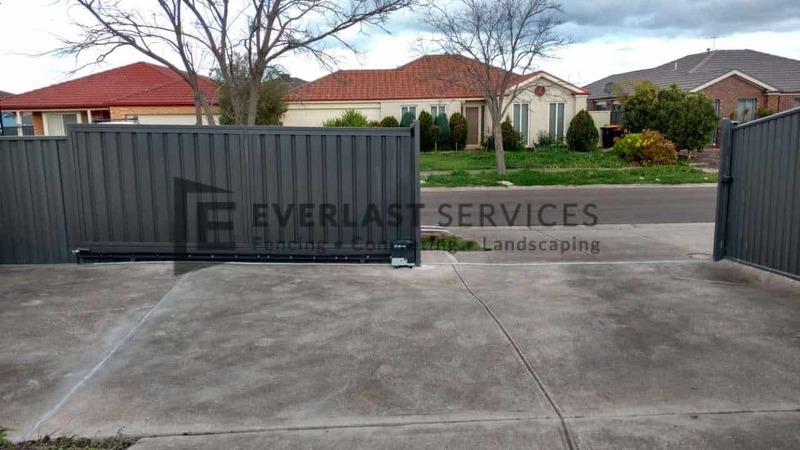 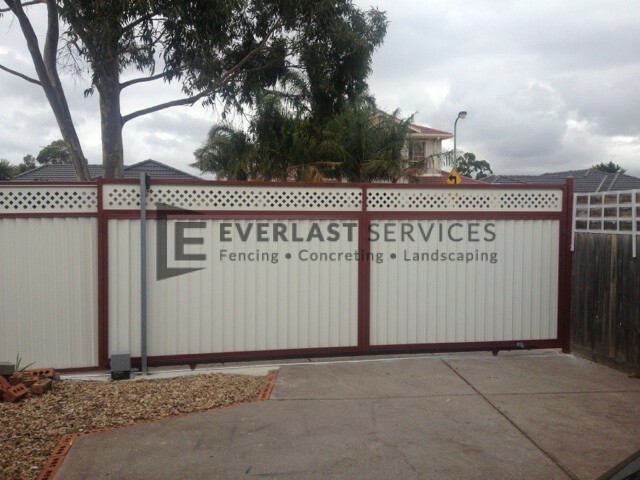 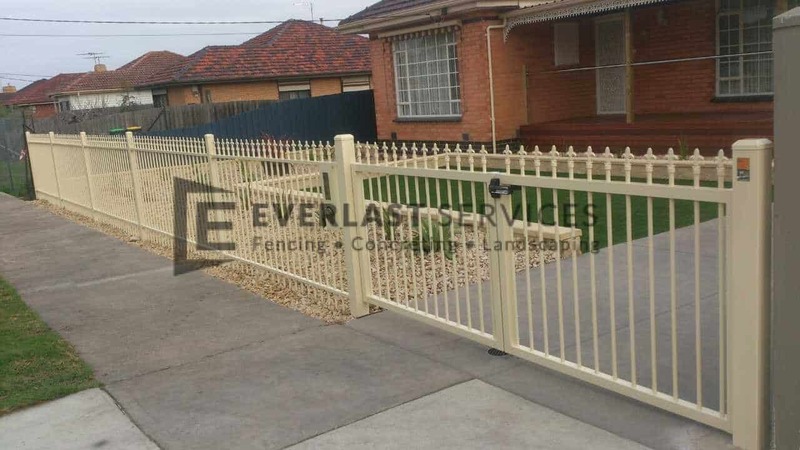 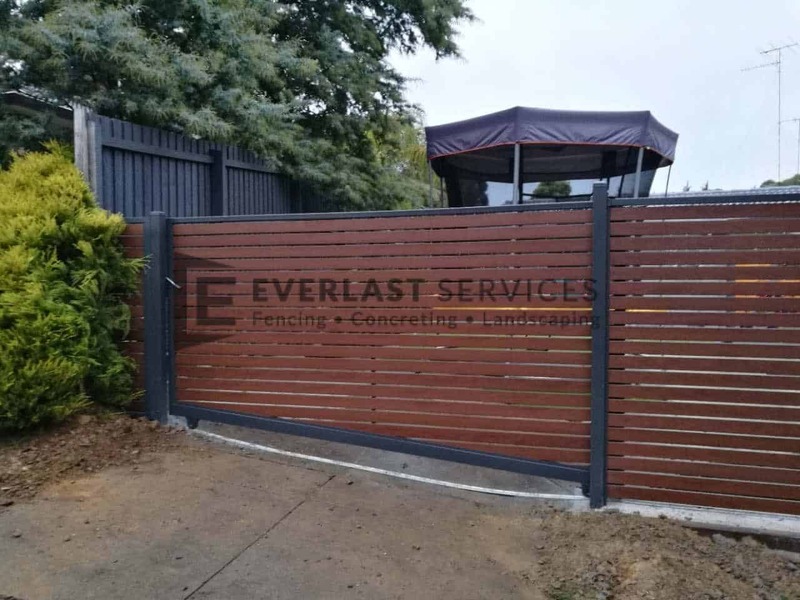 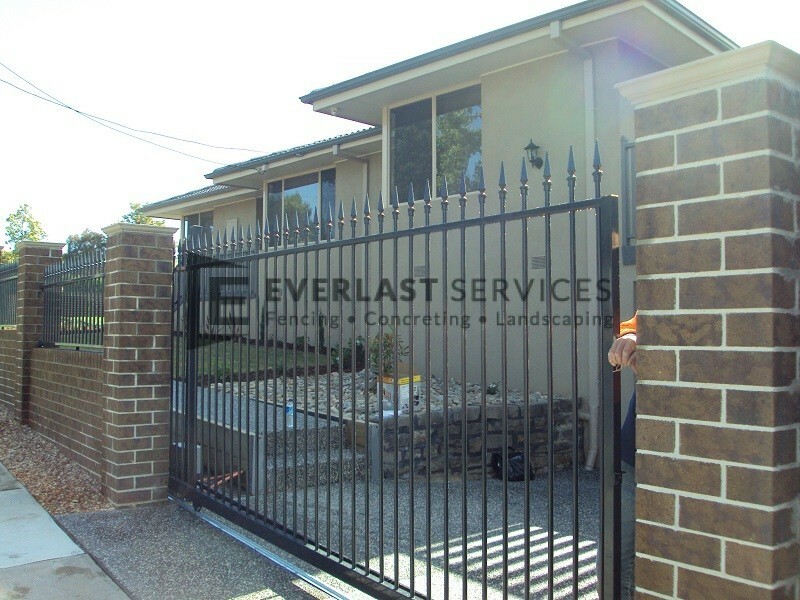 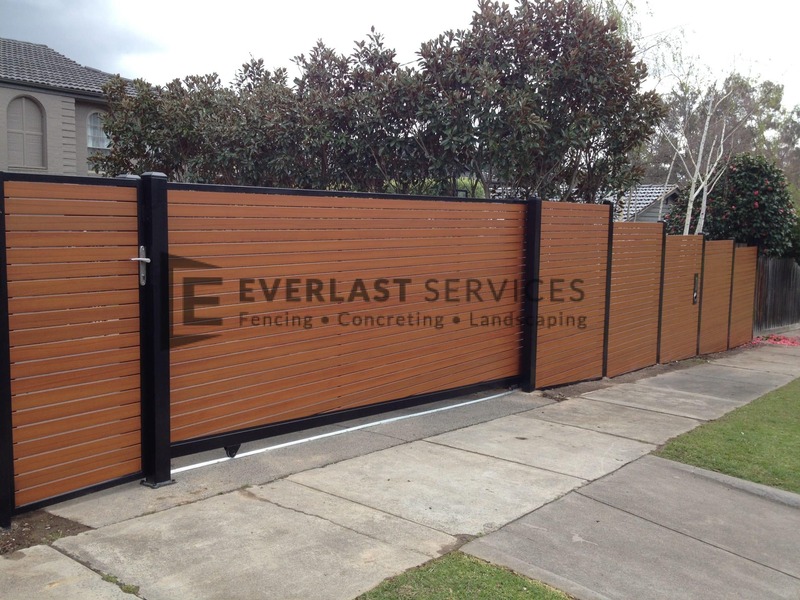 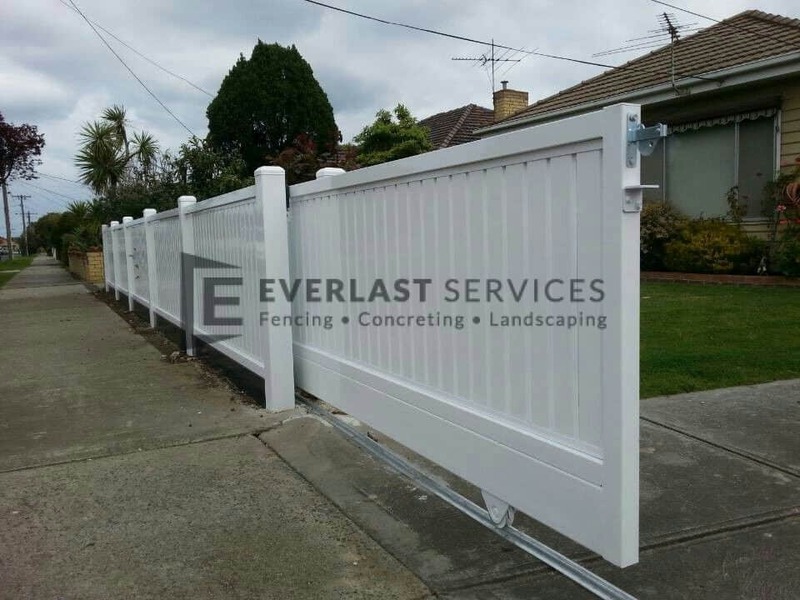 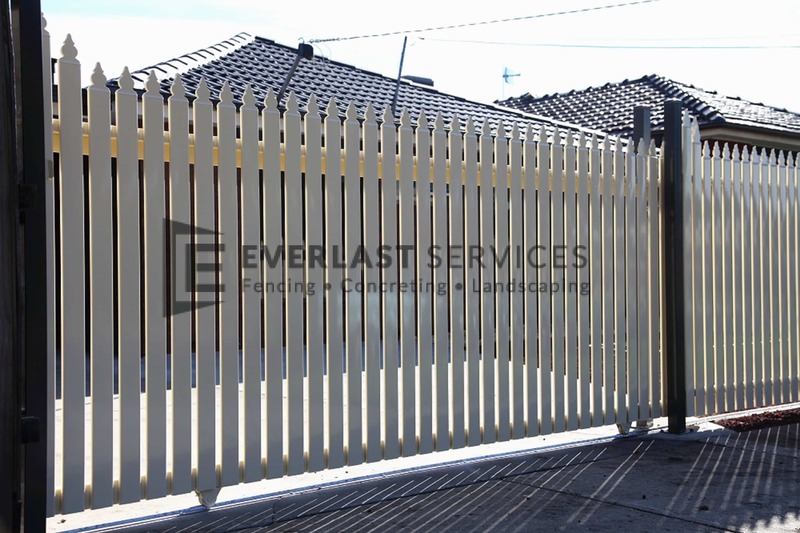 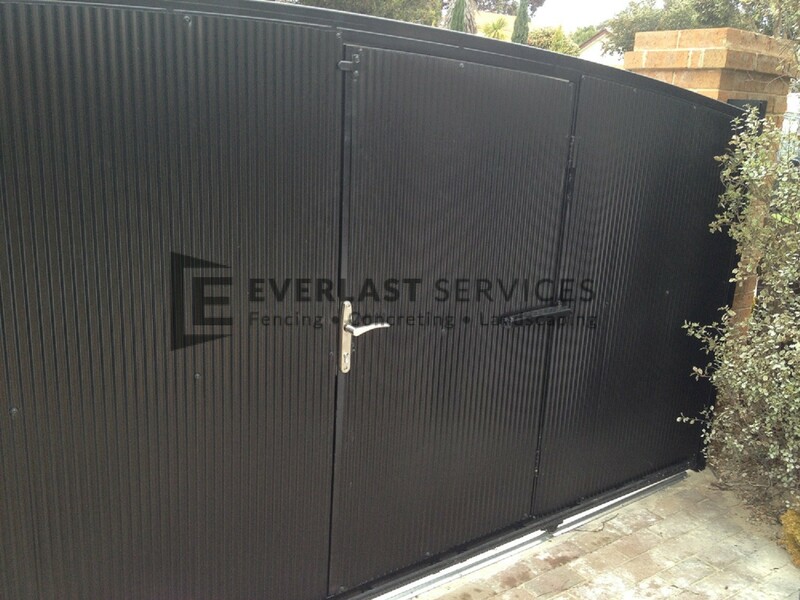 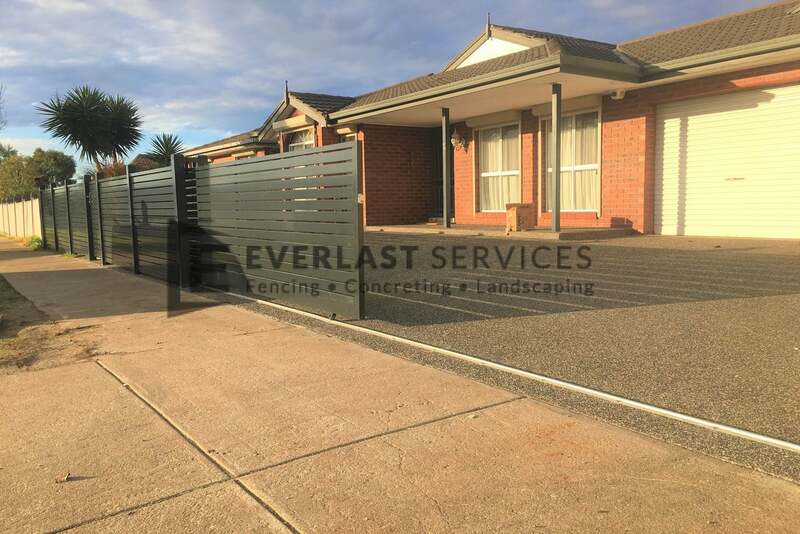 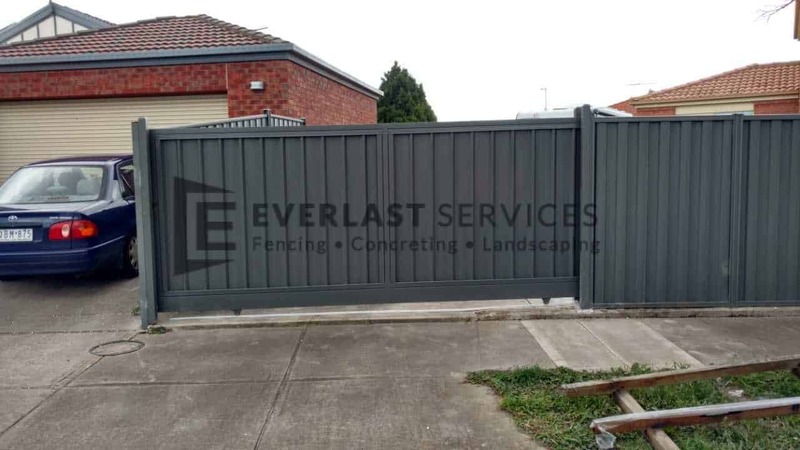 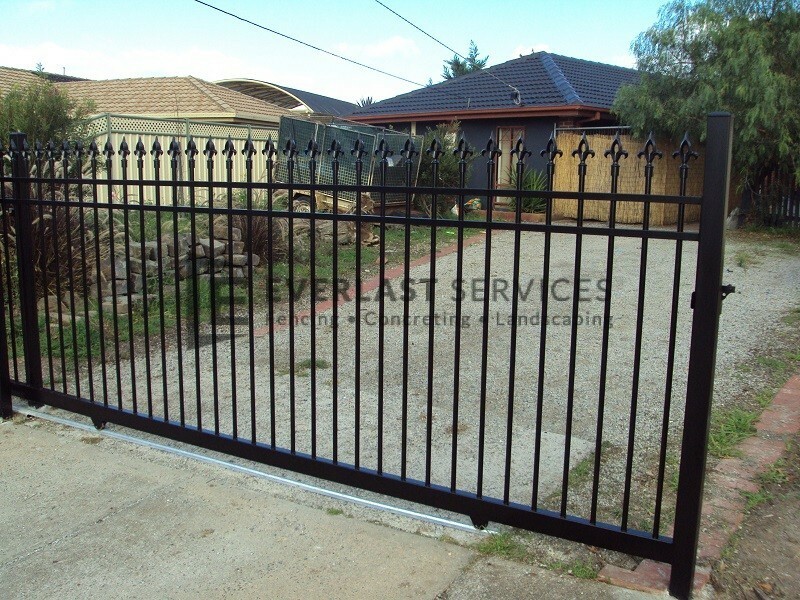 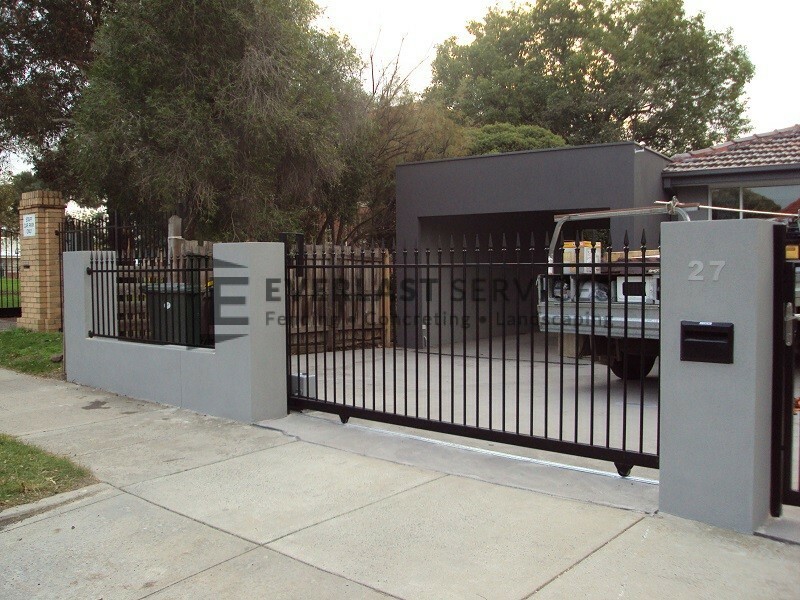 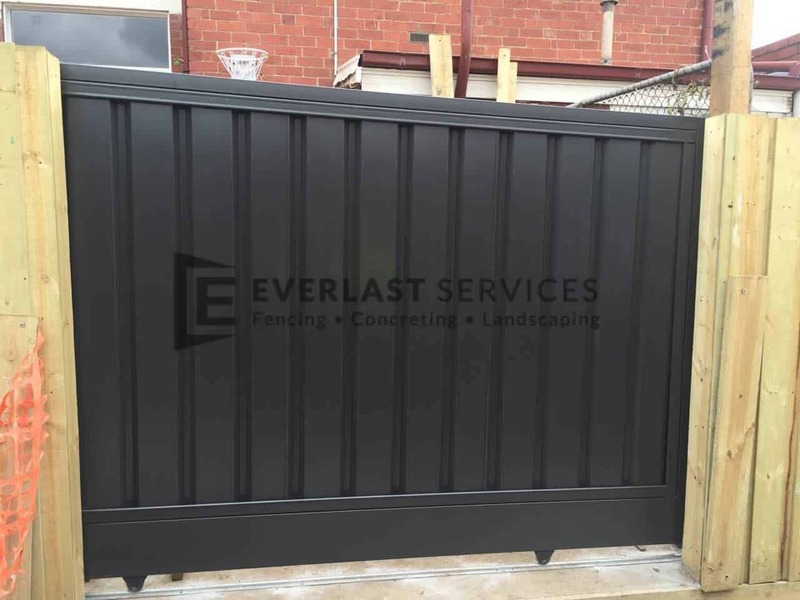 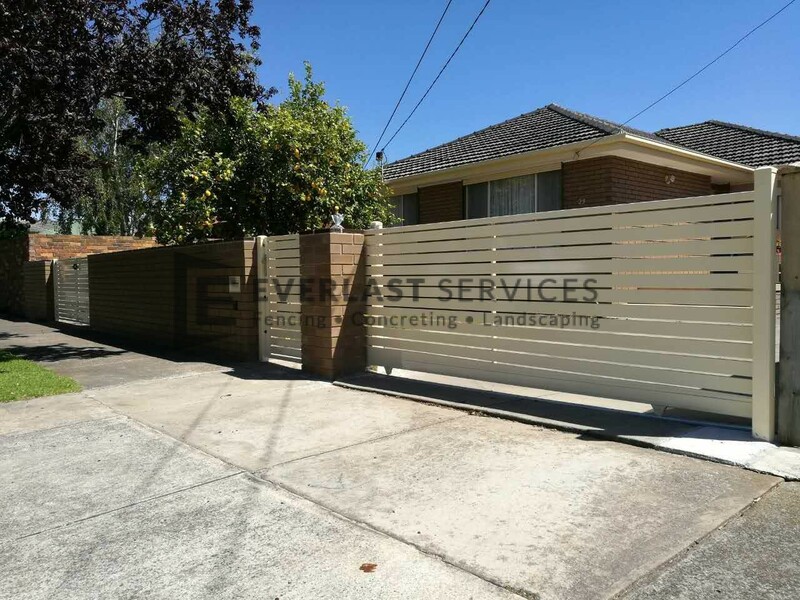 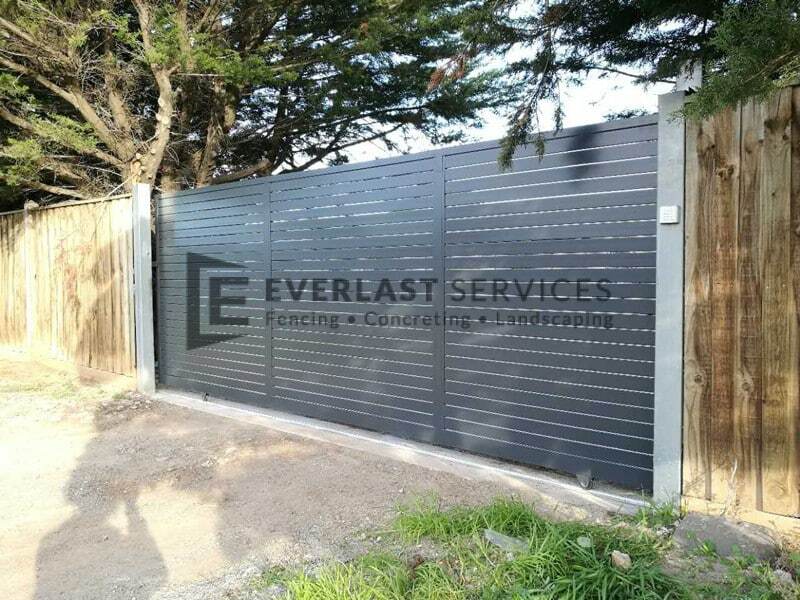 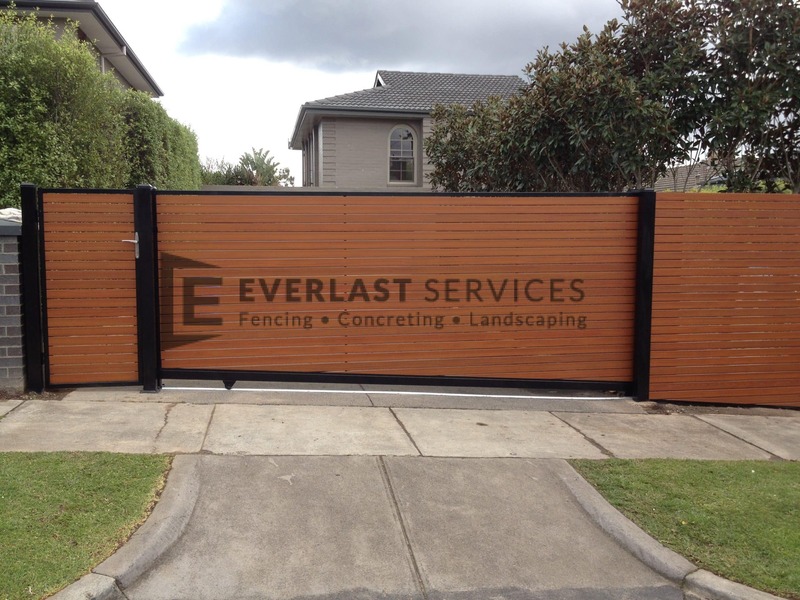 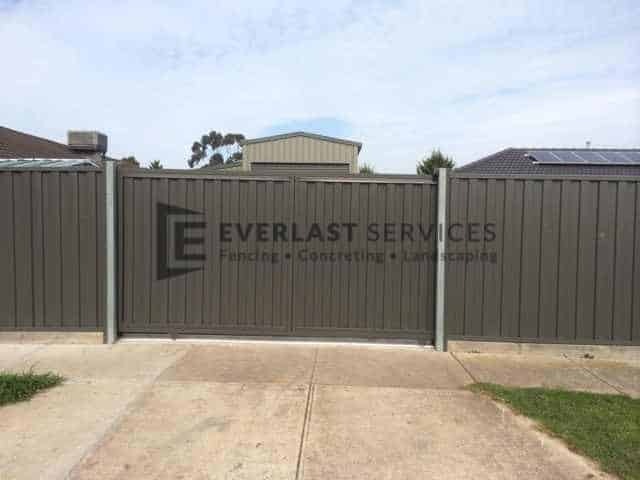 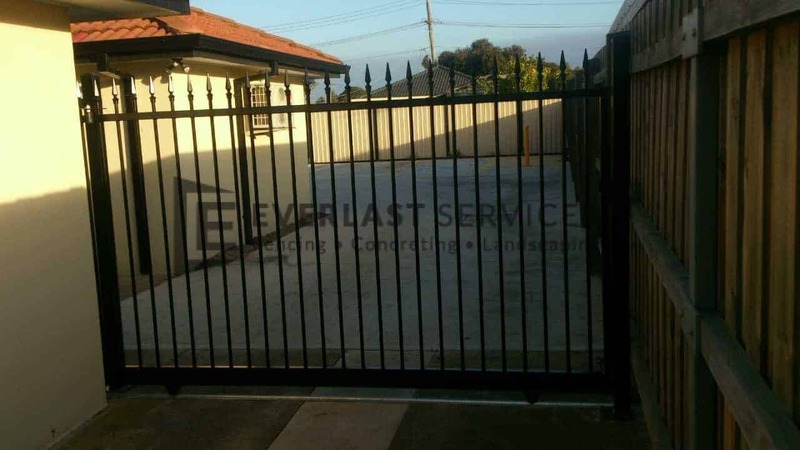 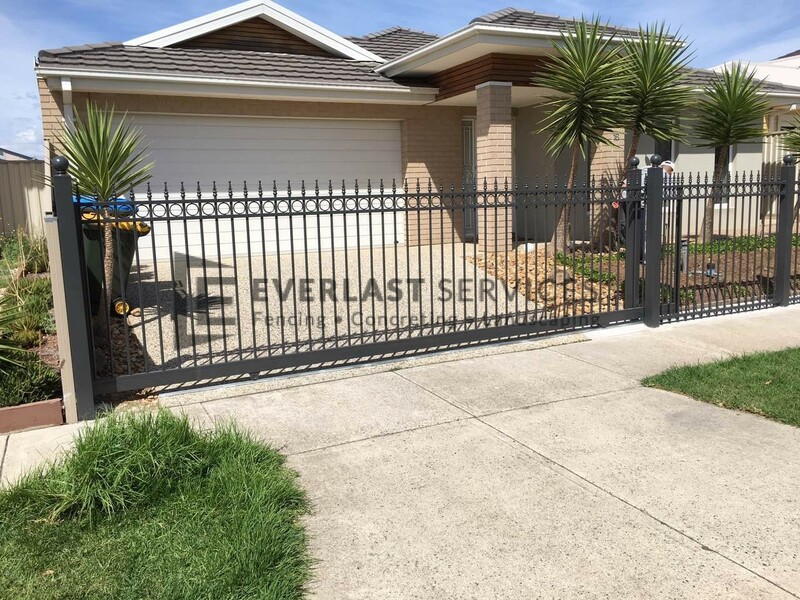 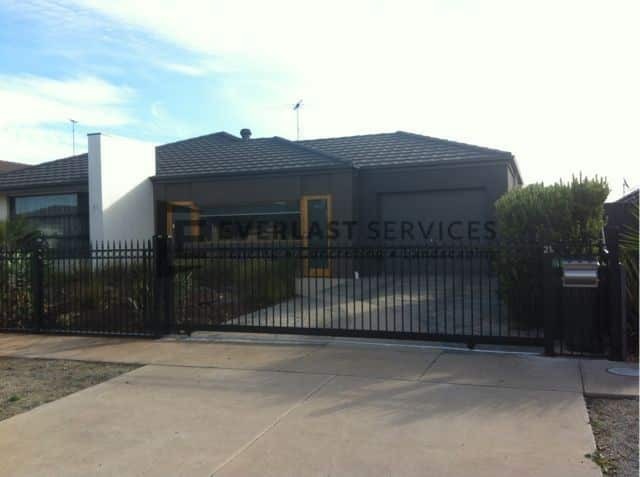 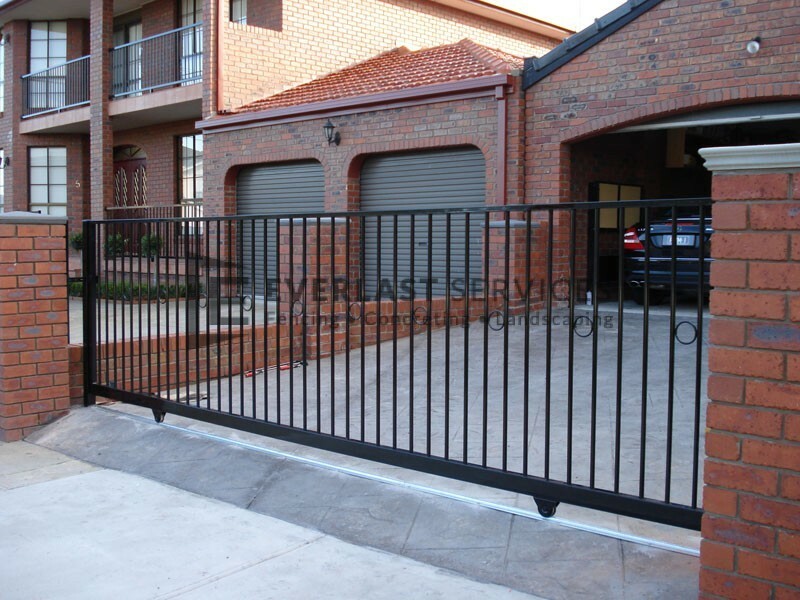 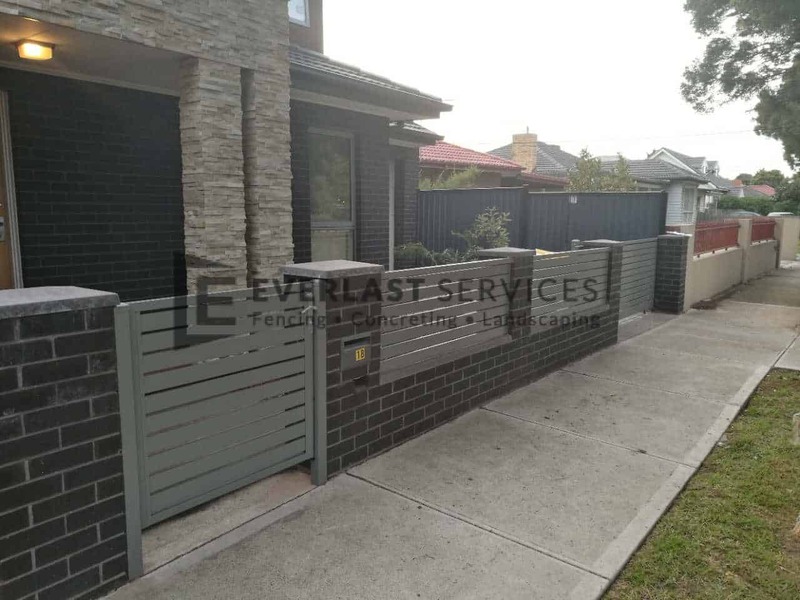 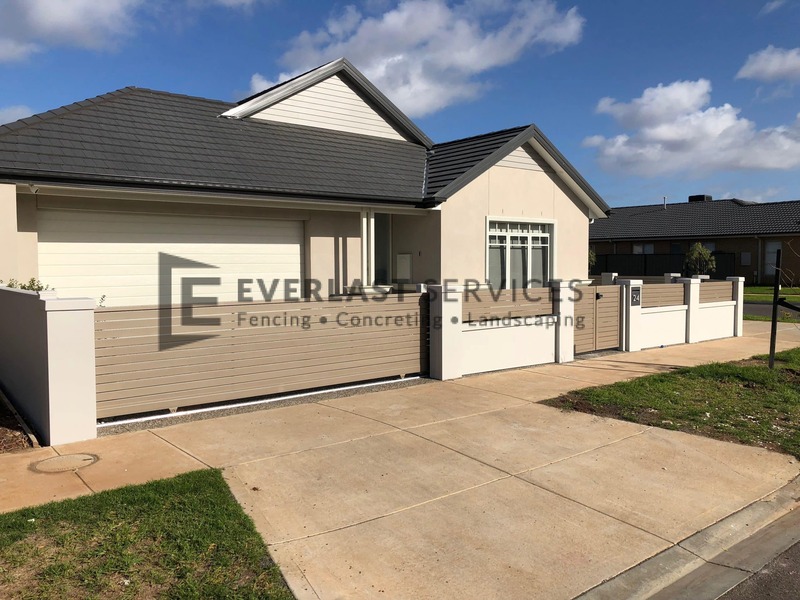 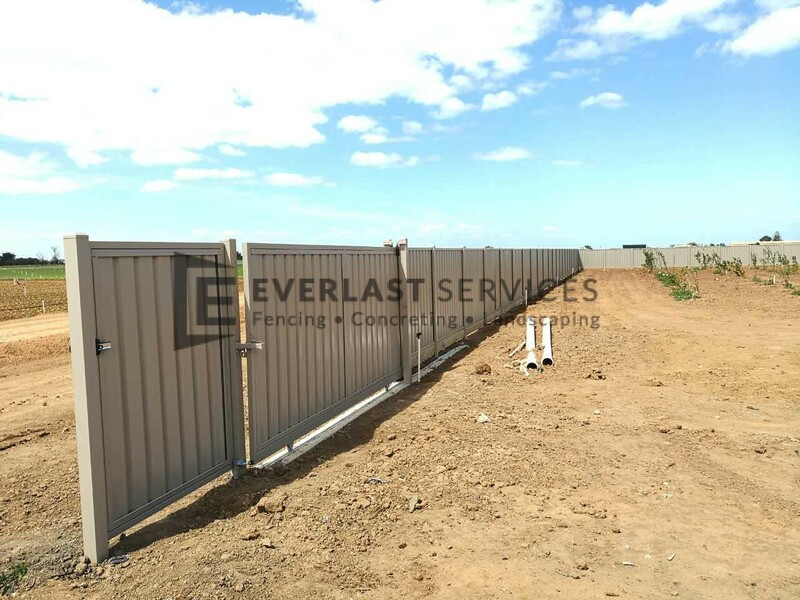 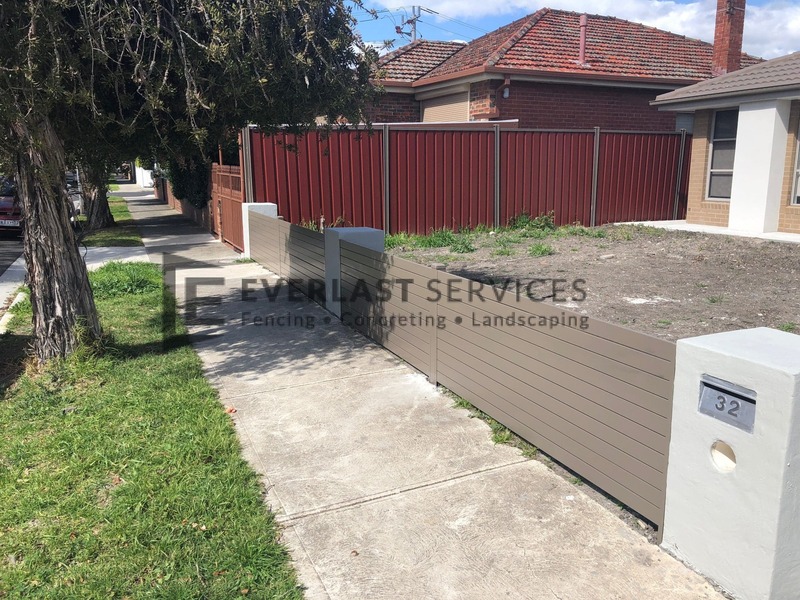 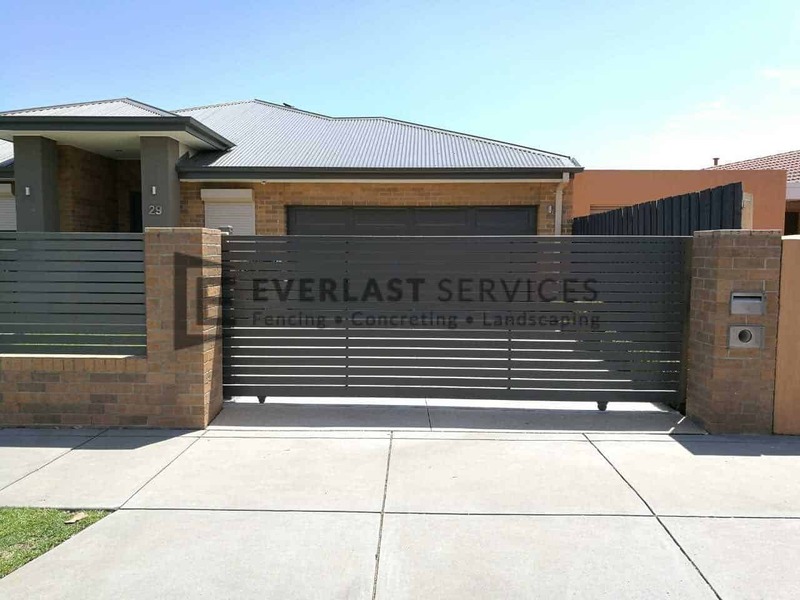 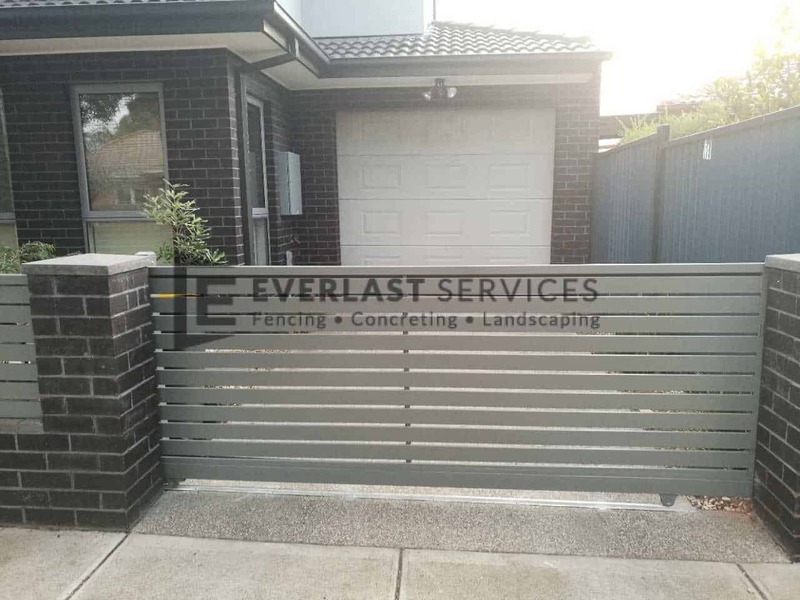 Everlast Services (formerly known as Everlast Fencing) has over 20 years in the business. 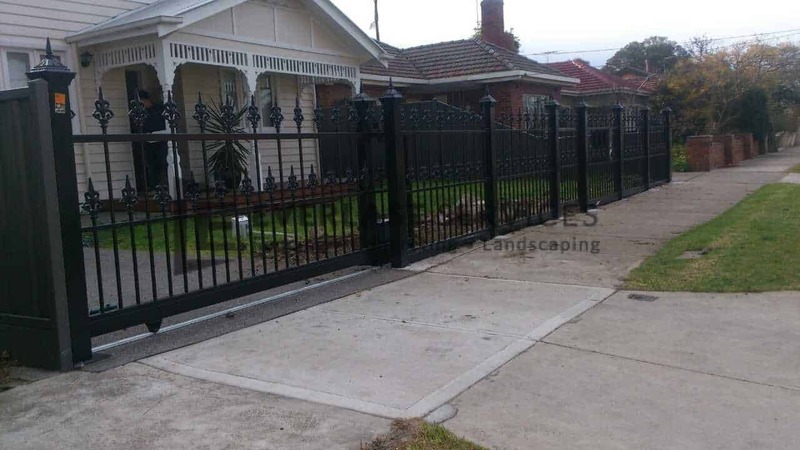 So, we know all there is to know about gates and fences. 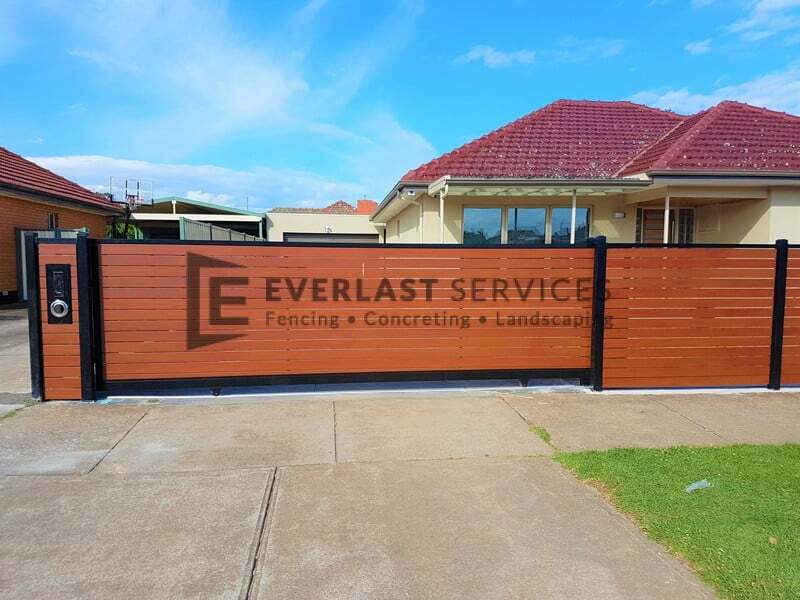 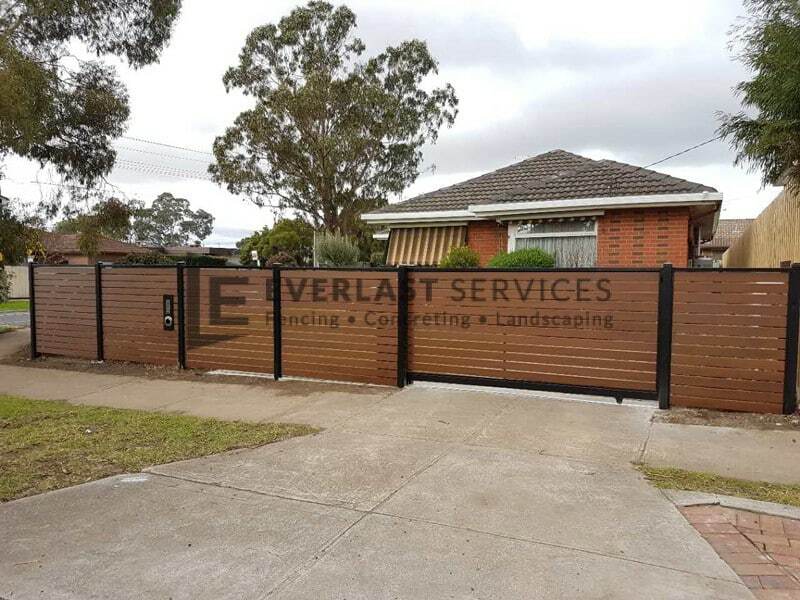 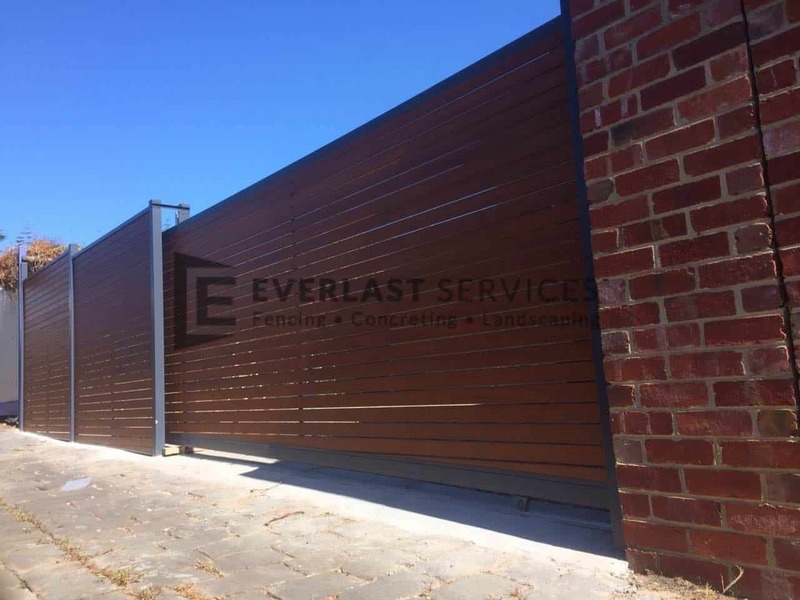 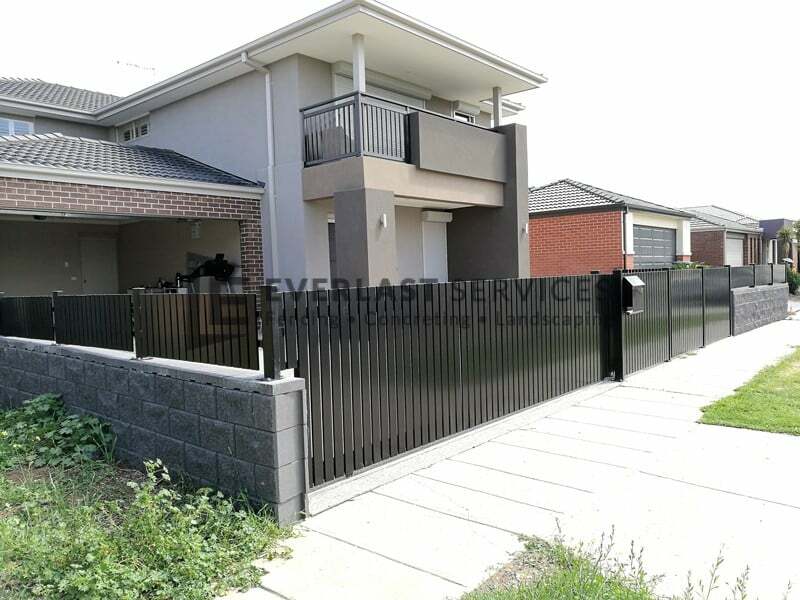 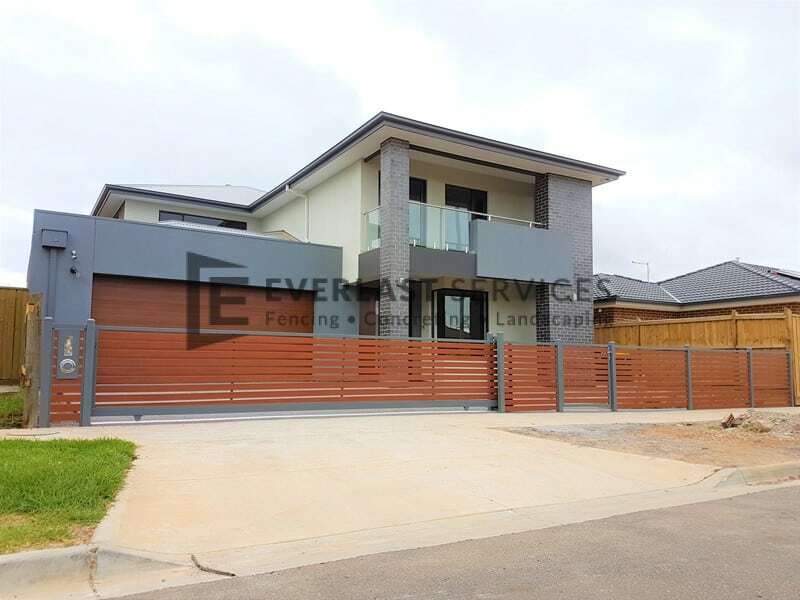 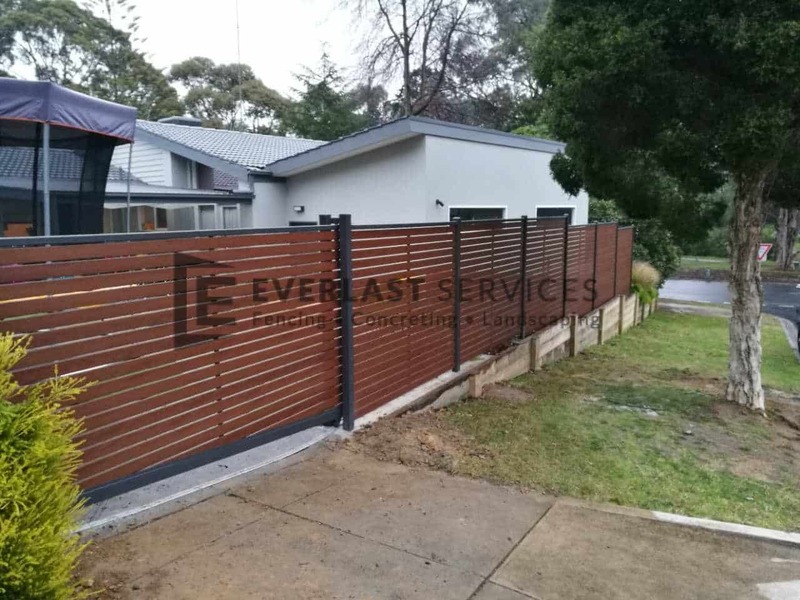 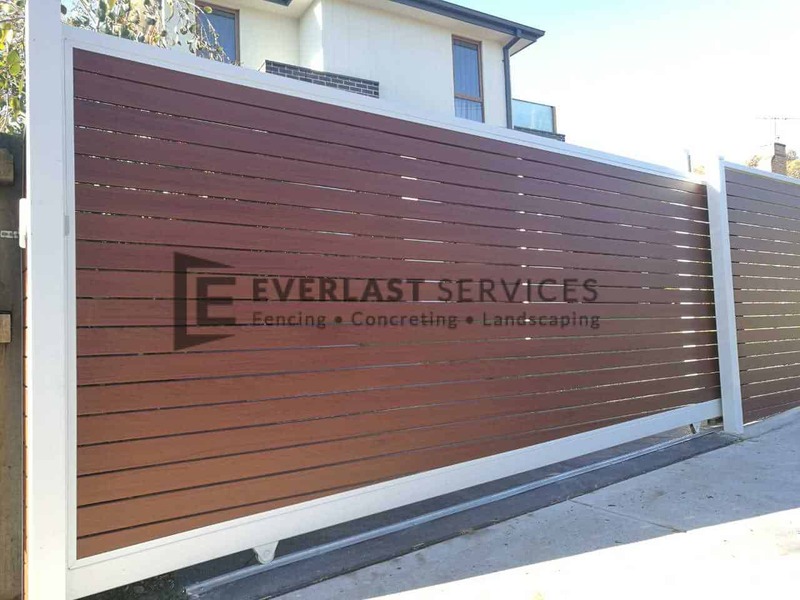 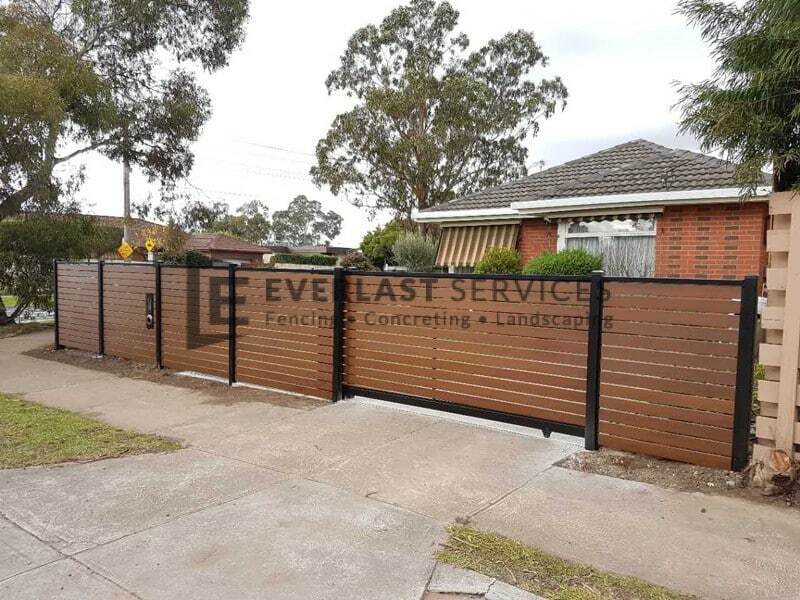 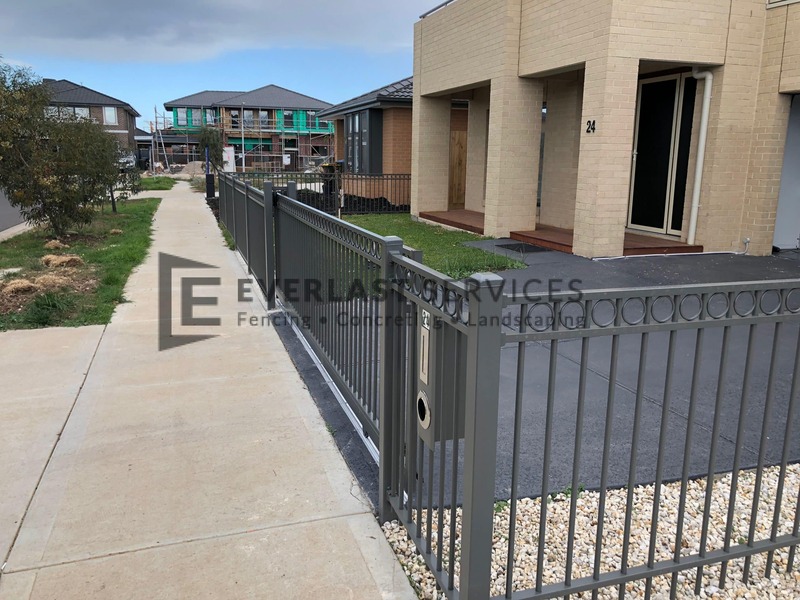 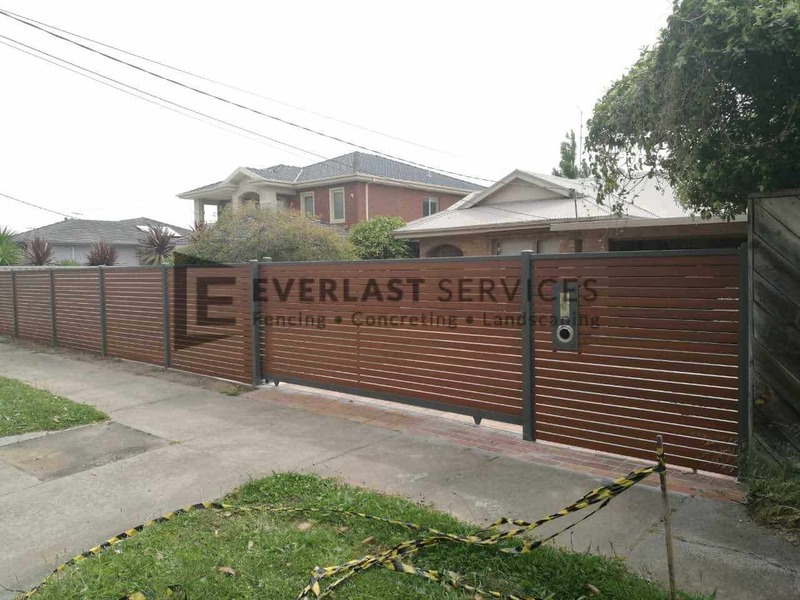 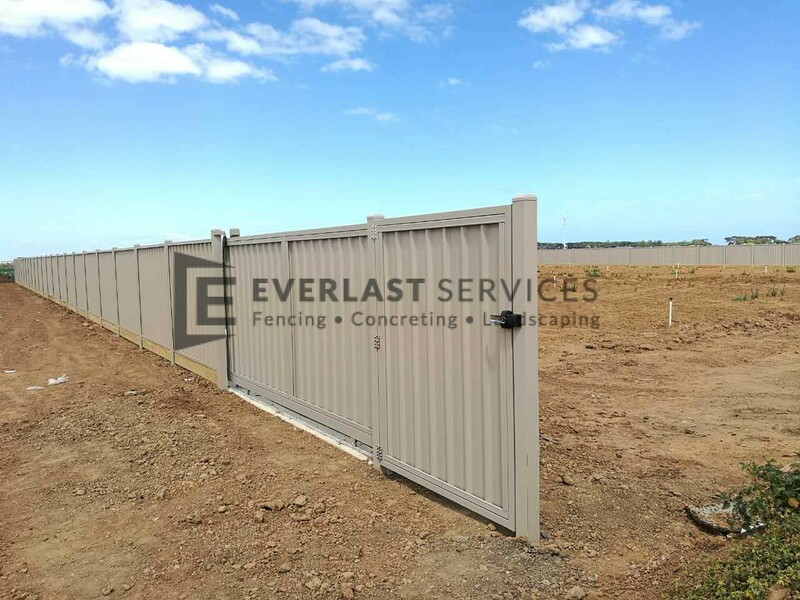 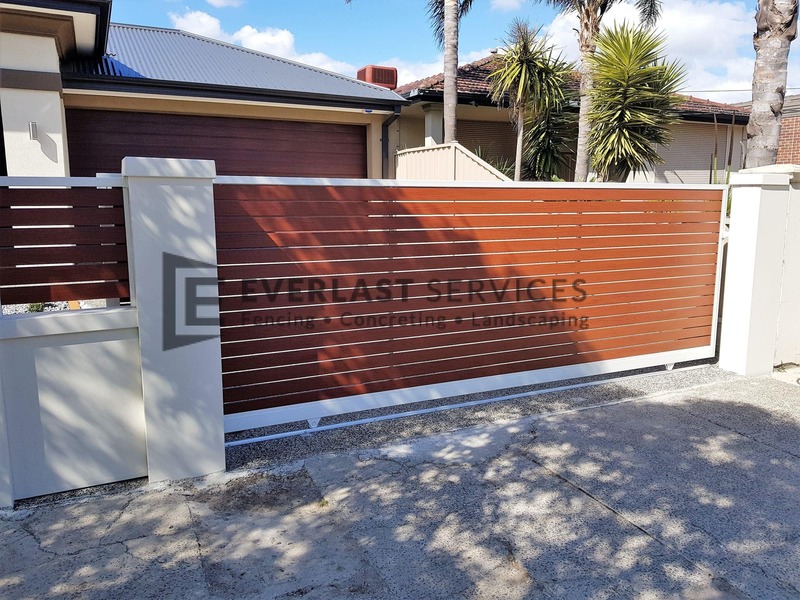 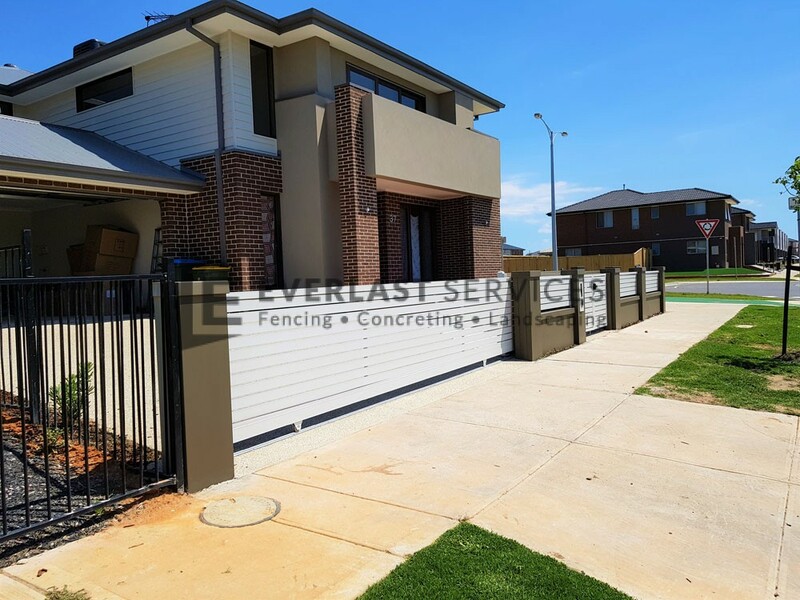 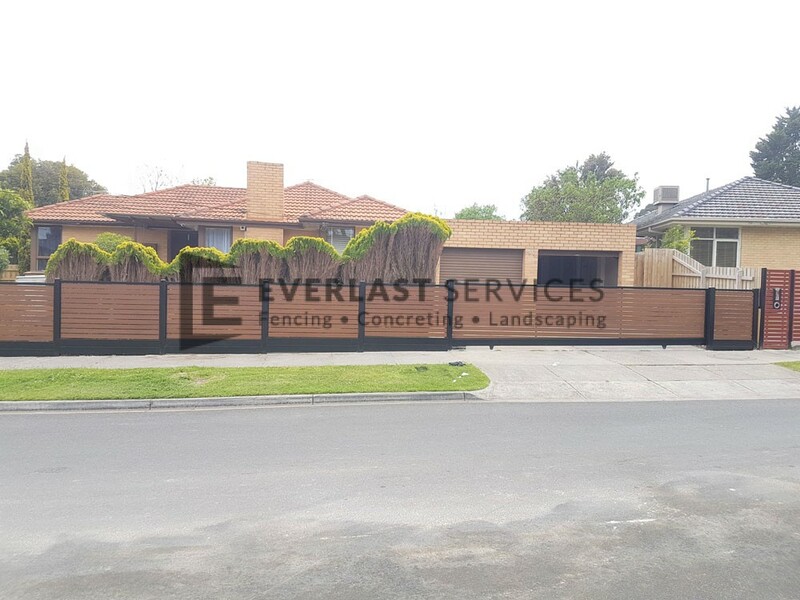 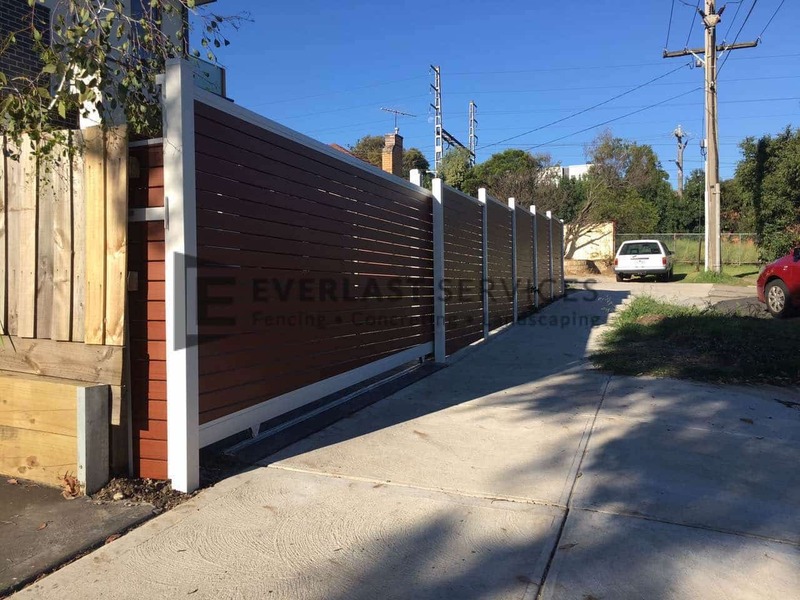 Let the experts at Everlast take care of all your fencing needs; the result is sure to exceed expectations.